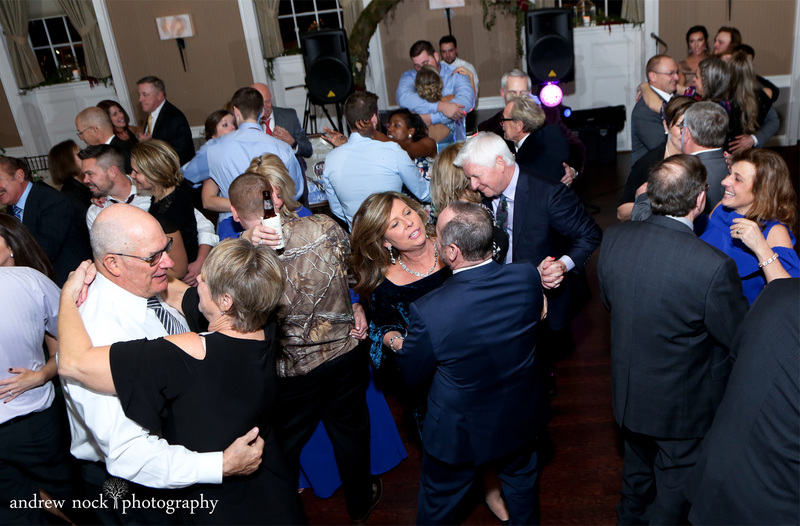 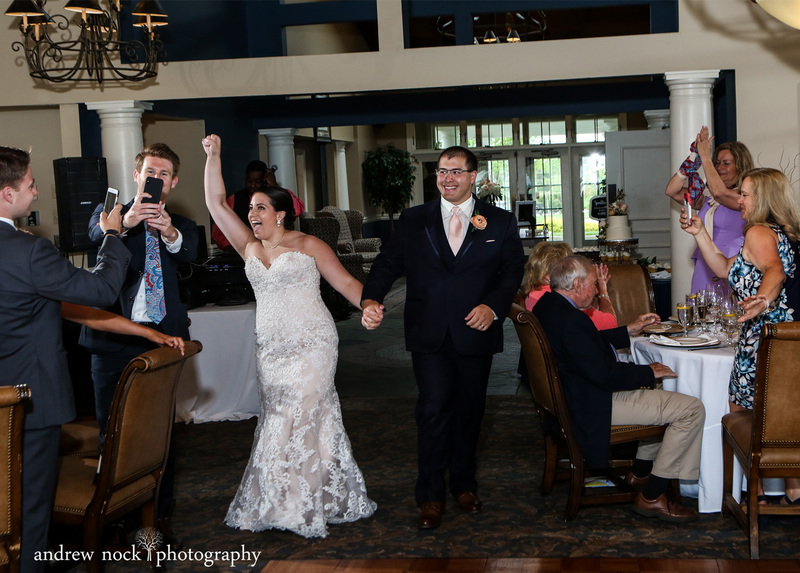 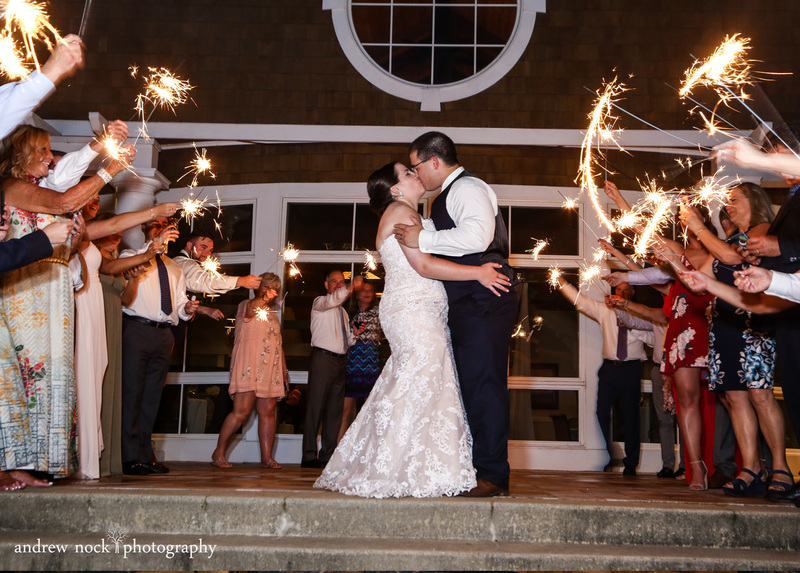 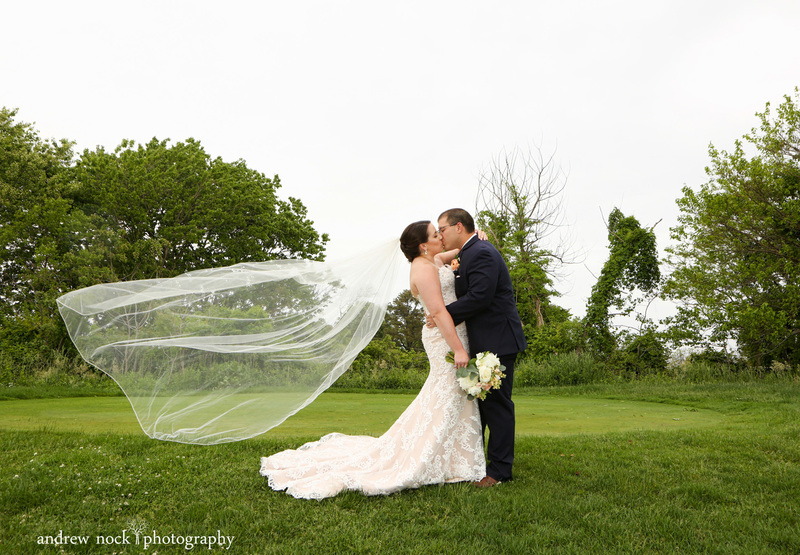 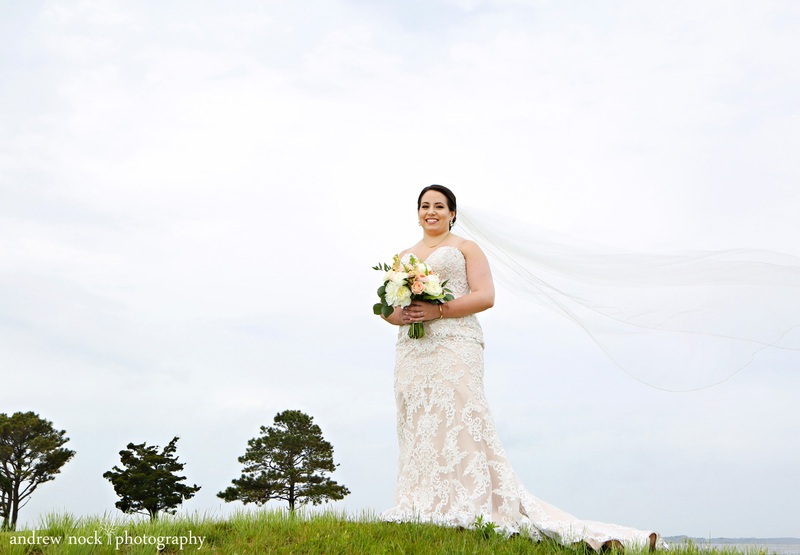 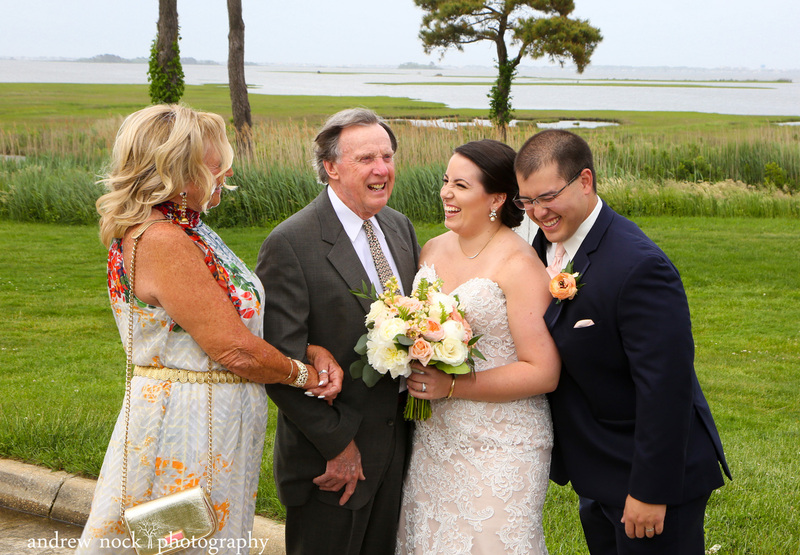 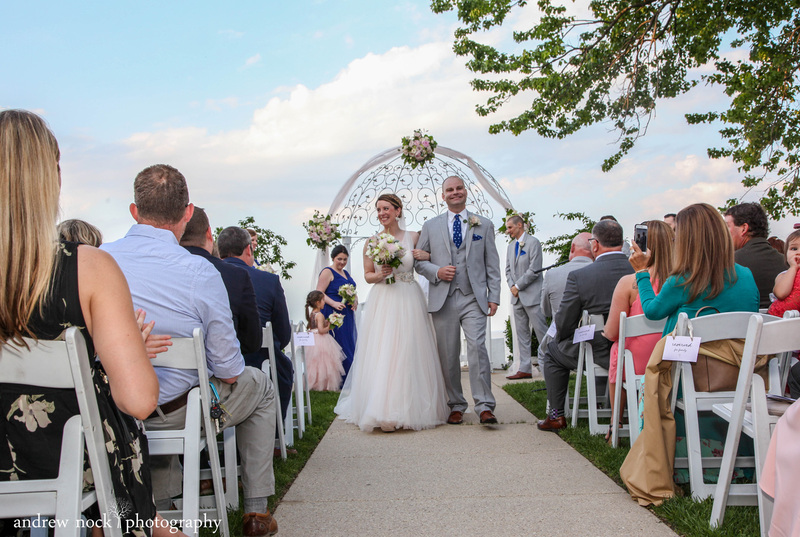 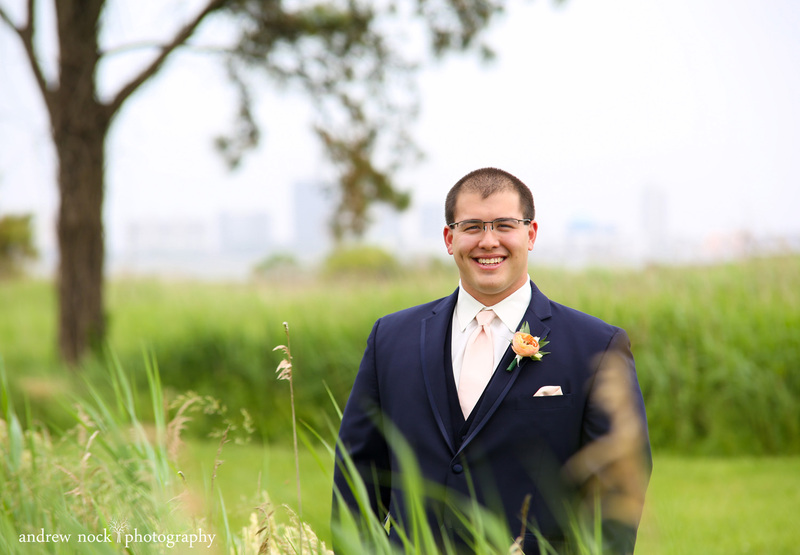 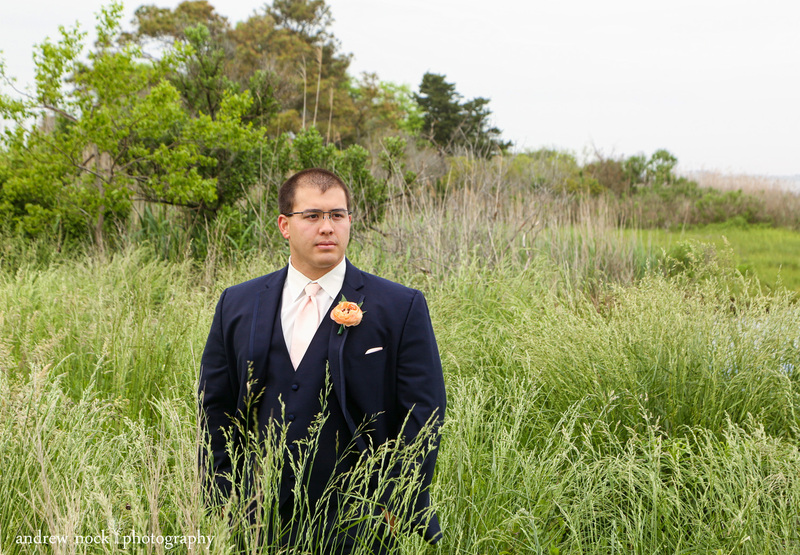 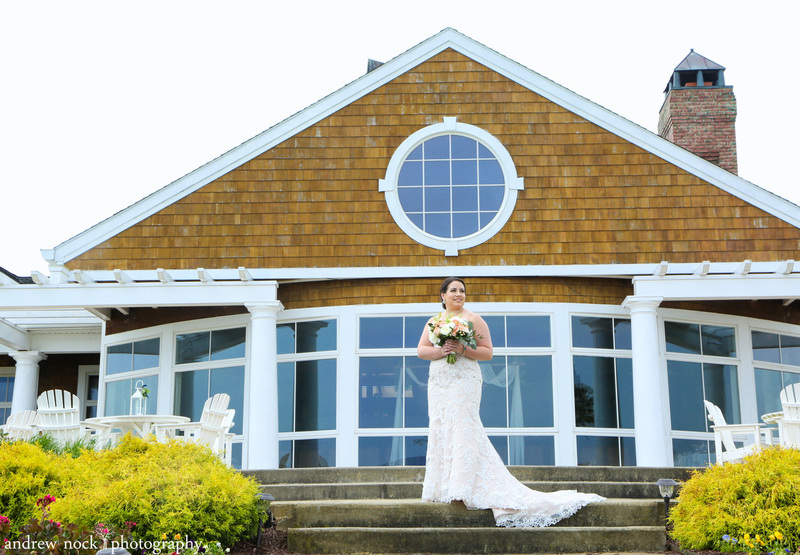 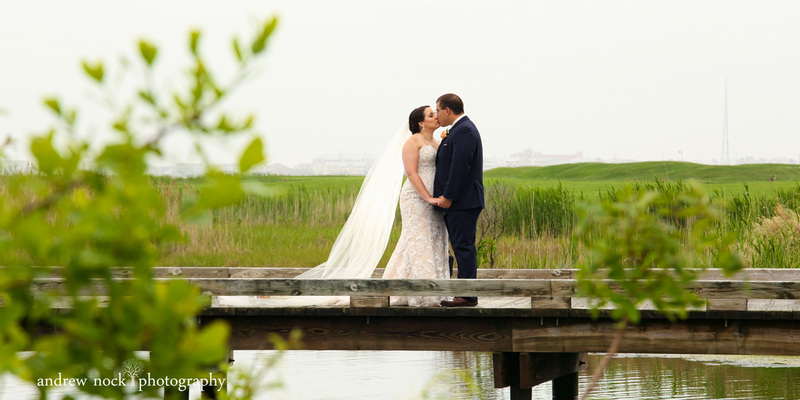 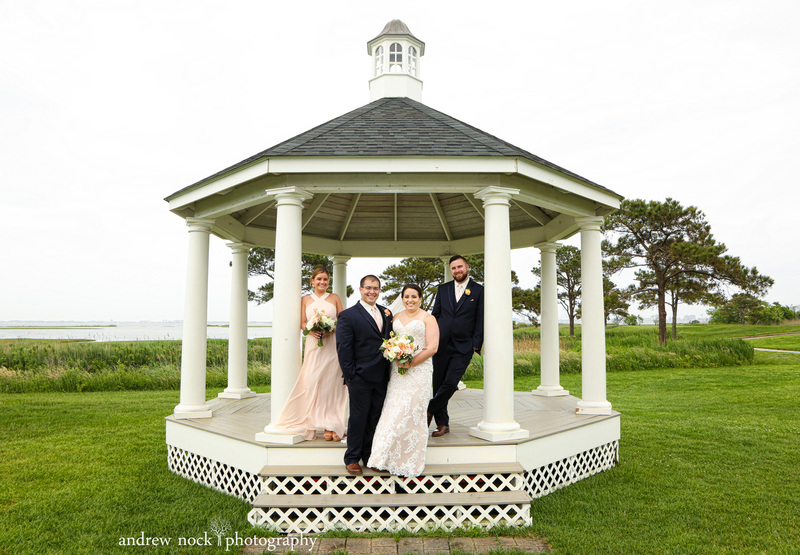 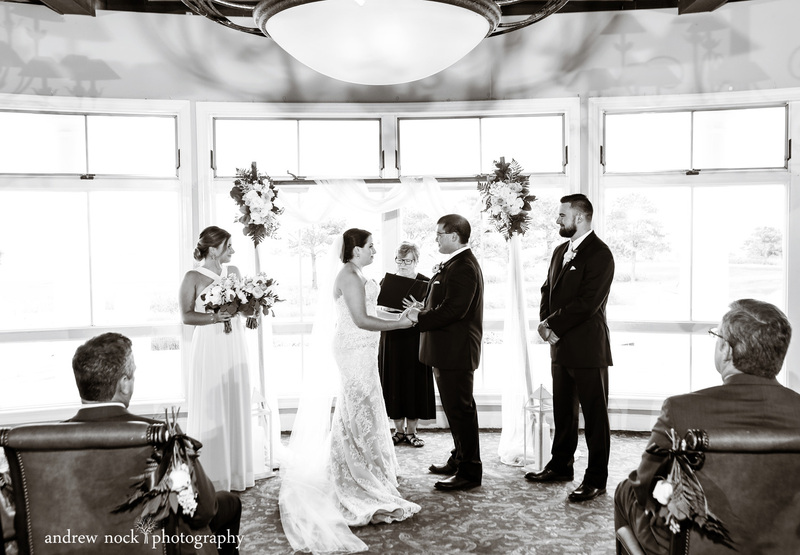 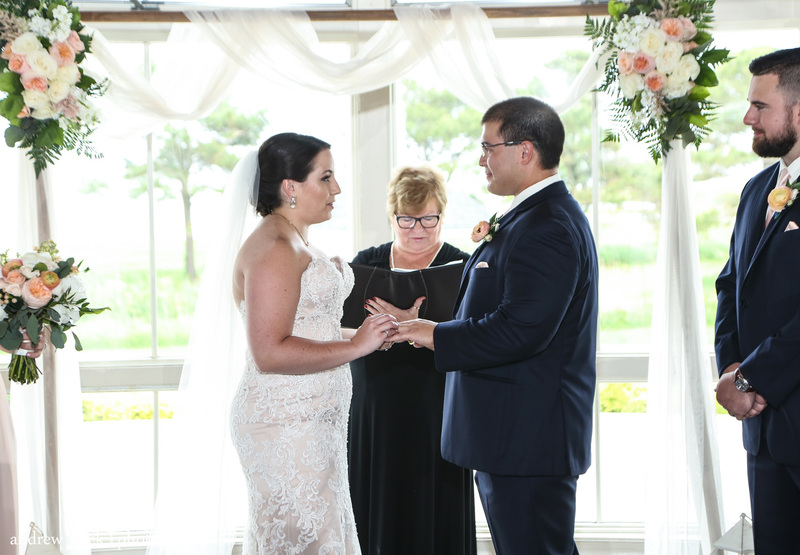 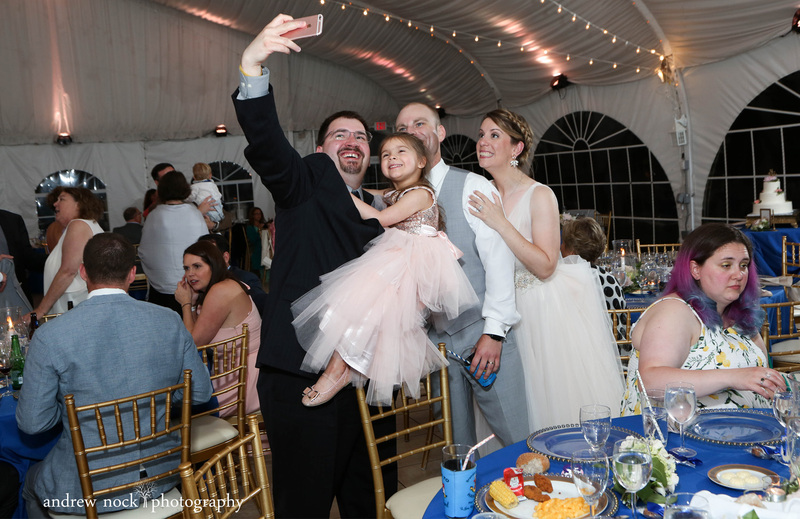 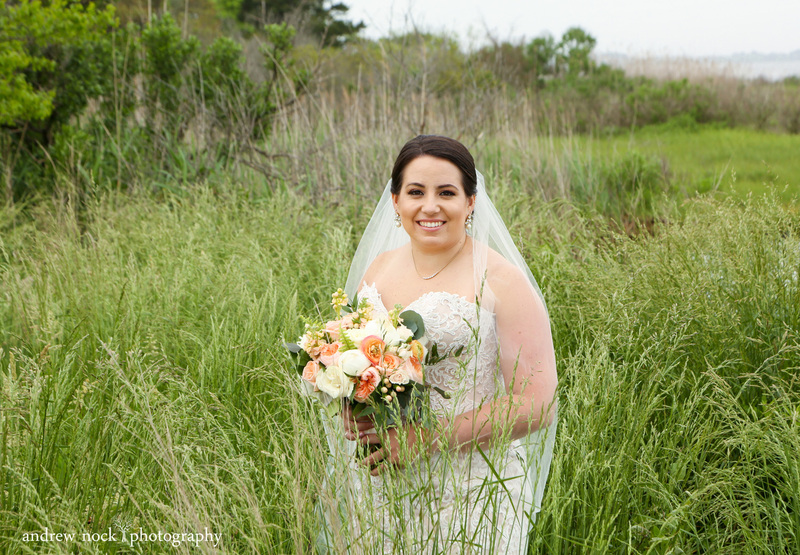 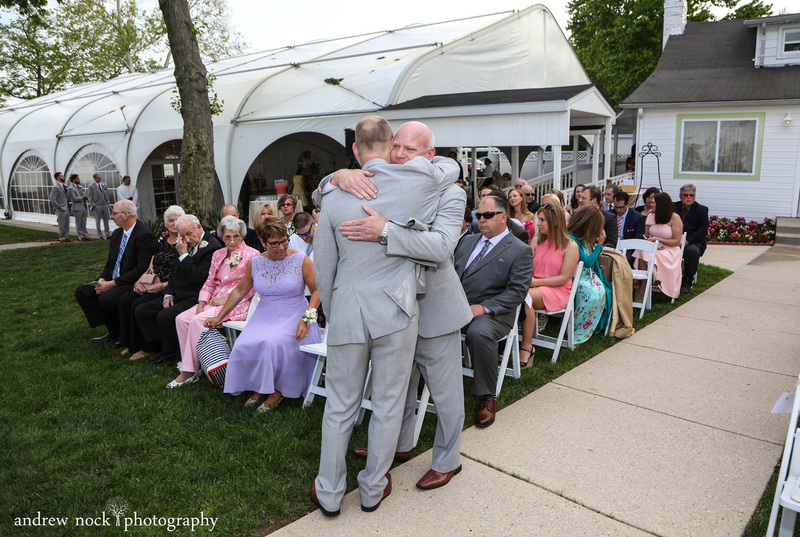 We have photographed countless weddings at this beautiful Eastern Shore venue in Ocean City, MD and are always amazed by how different it looks each time. 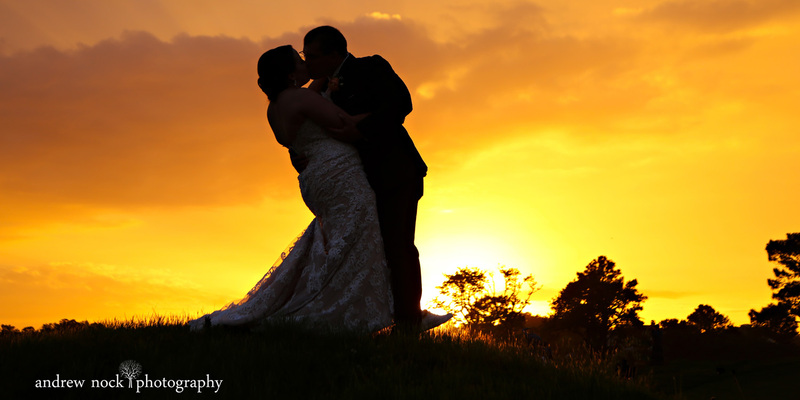 The sky and sunsets never disappoint. 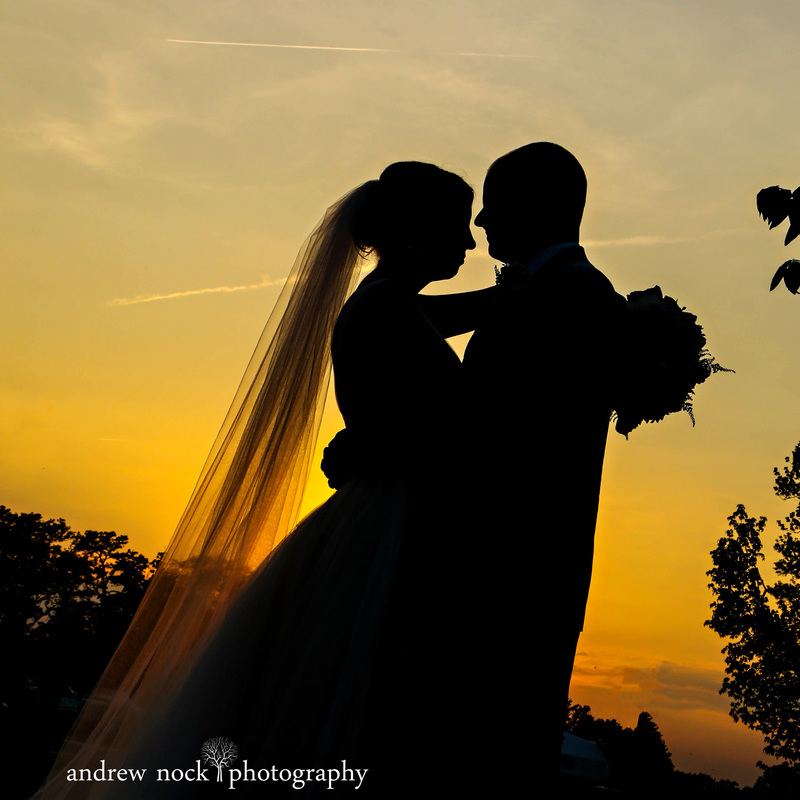 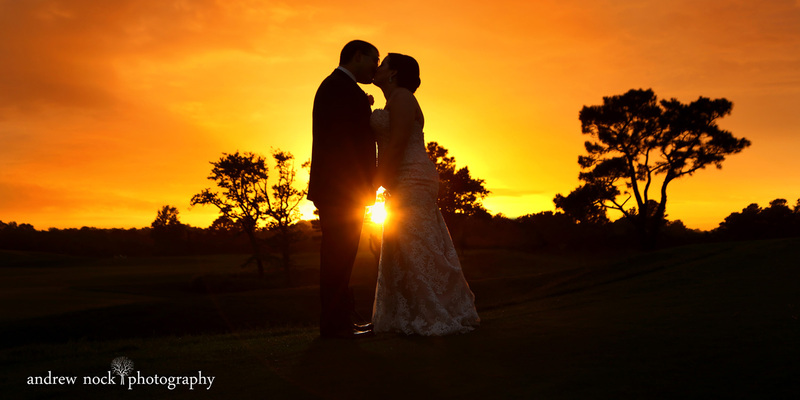 After a rainy day for the ceremony, the skies opened up for one of the best sunsets we have ever seen at Lighthouse Sound! 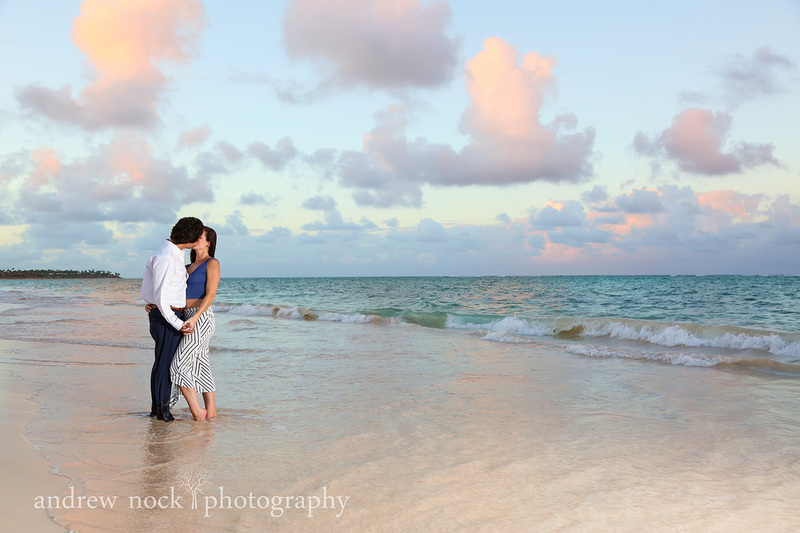 The one thing that stays consistent is the staff and the incredible service. 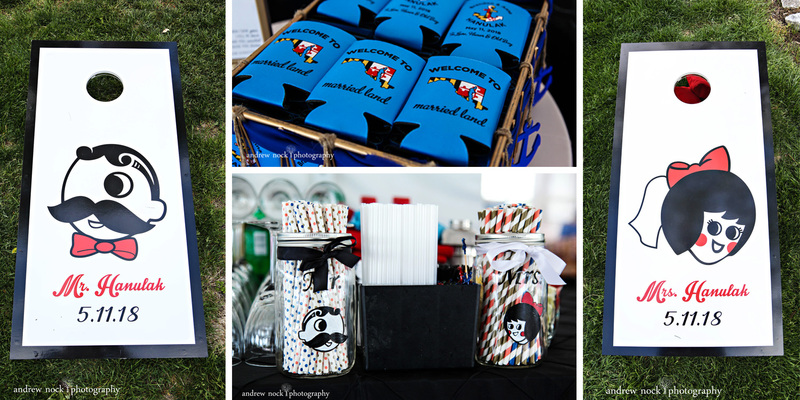 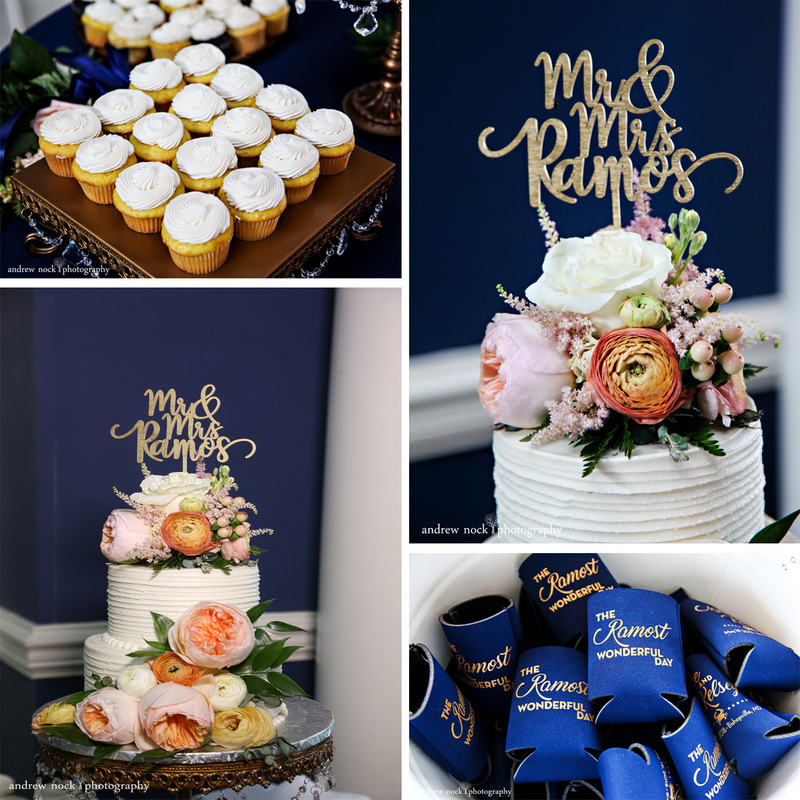 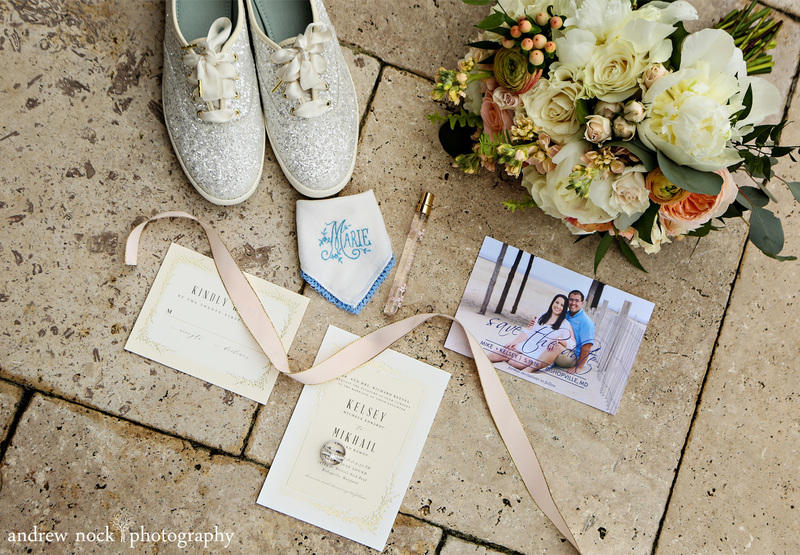 Not only are the couples and their families pampered, but the vendors are spoiled as well. 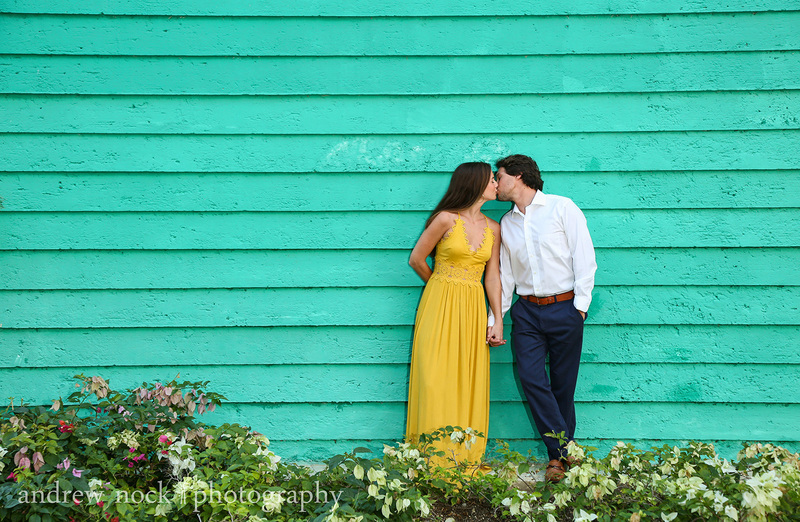 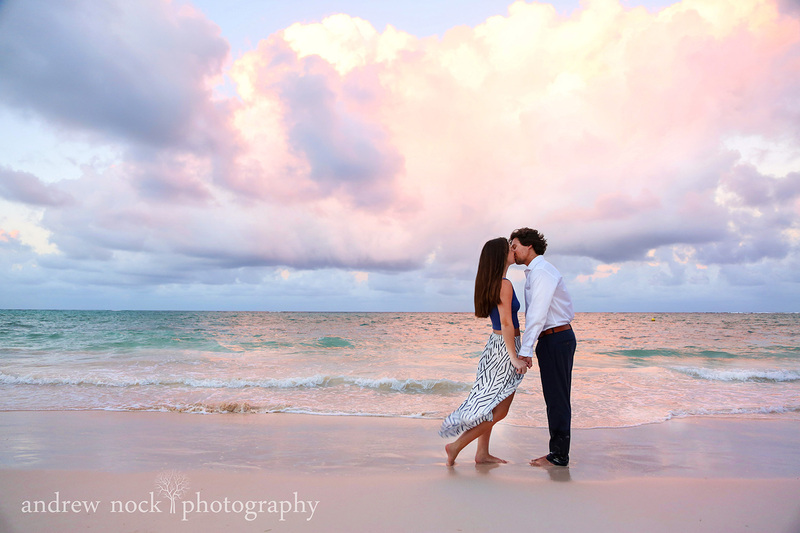 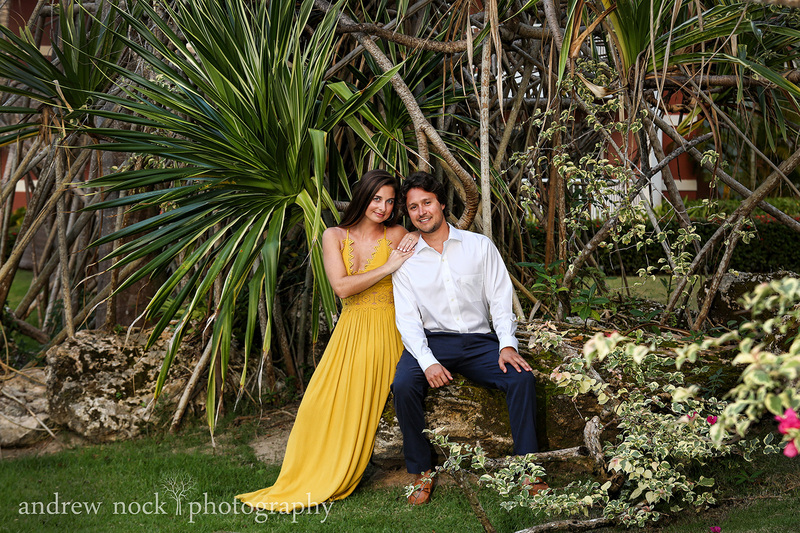 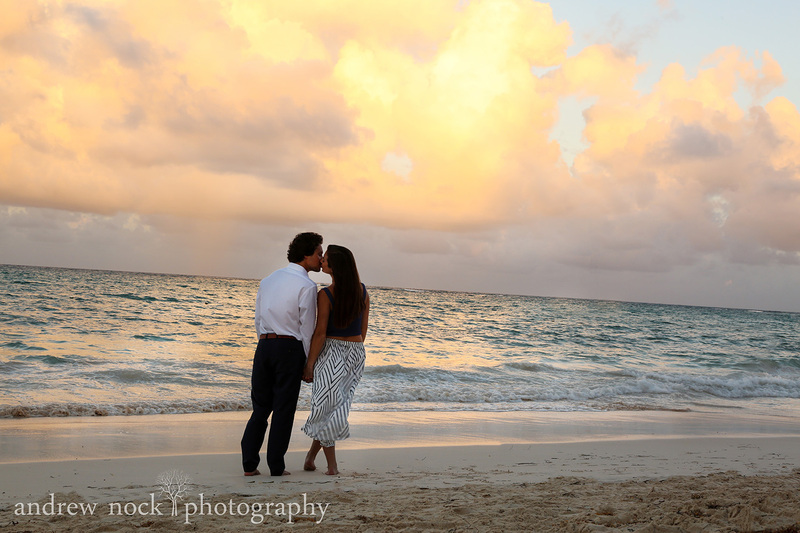 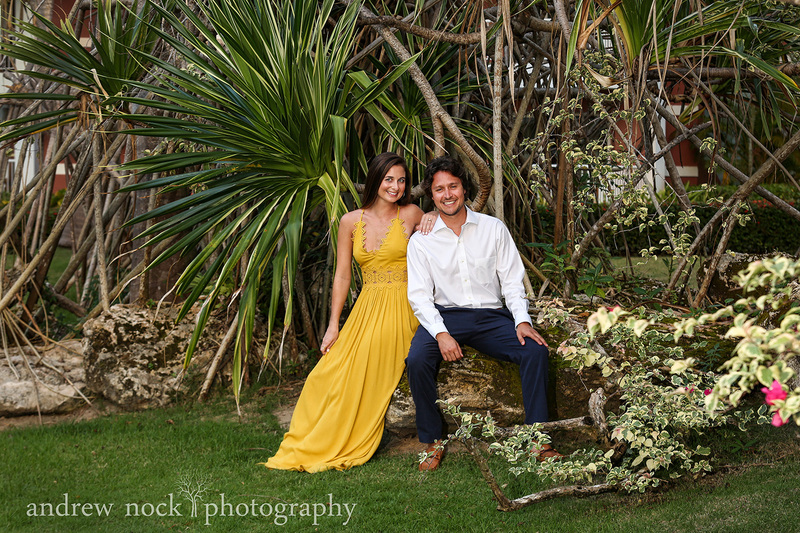 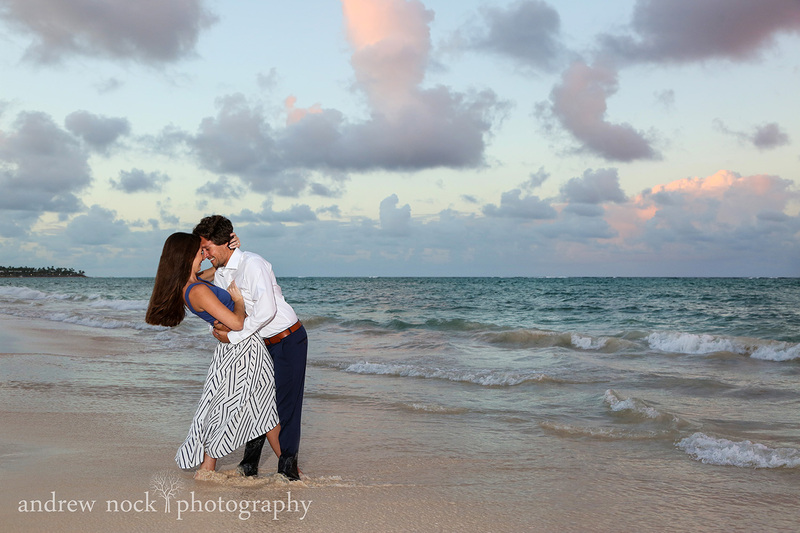 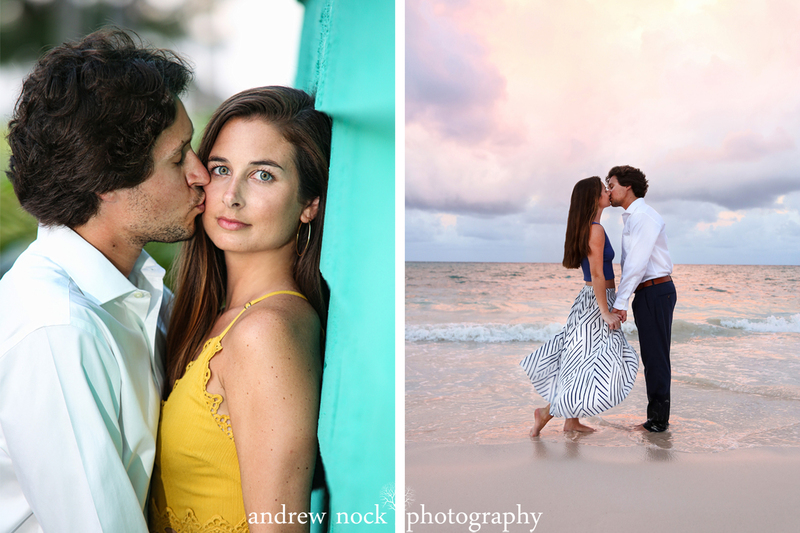 Most of the time, like Kelsey and Mike, our couples have a special connection to our little resort town. 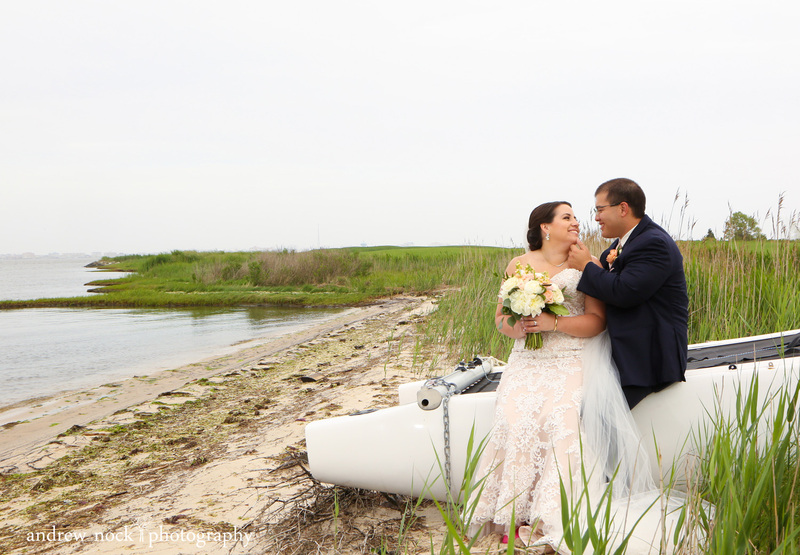 After living in Ocean City and their family owning a beach house, there was no other choice. 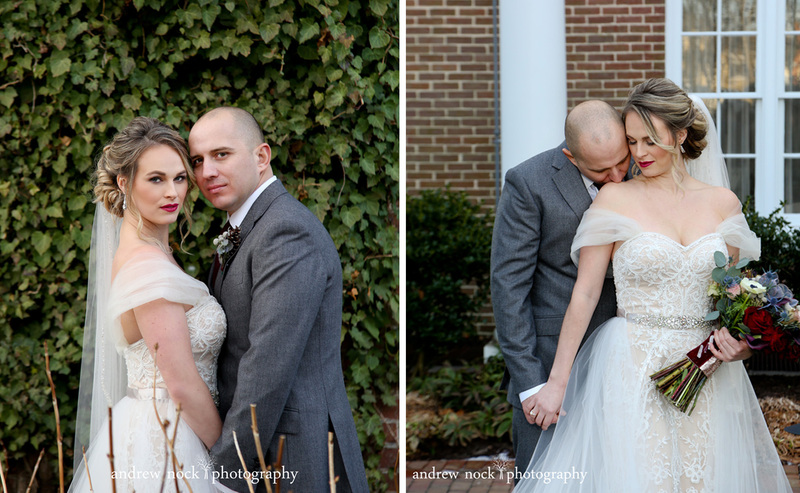 We loved everything about this couple and we are so fortunate that they entered our lives. 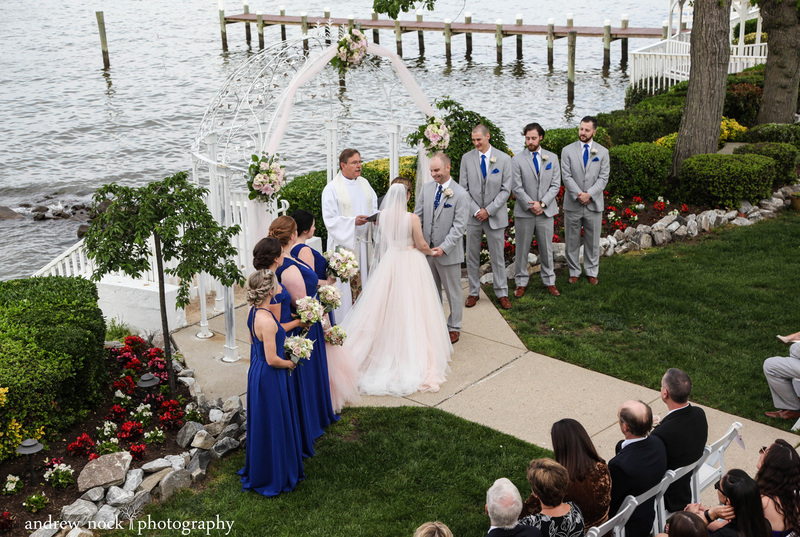 Everyone knows that planning an outdoor wedding event on the Shore comes with fingers crossed and rain dances! 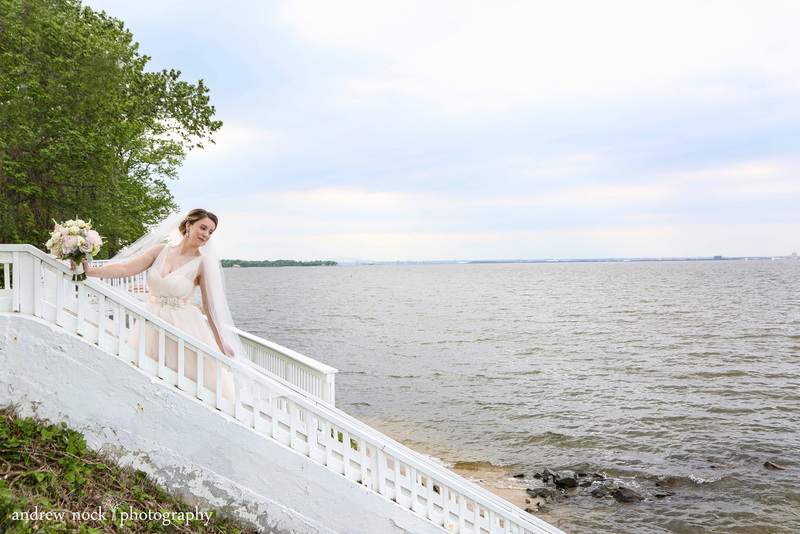 Anna and Grayson’s wedding on their grandmothers house on the water in Onancock, Va was no exception. 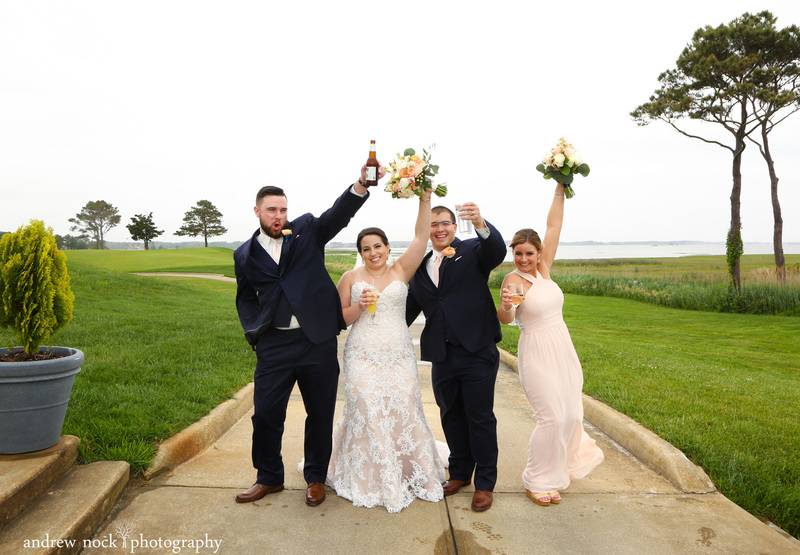 They included a new tradition that we have never heard of before…burying a bottle of bourbon 24 hours prior to ensure good weather. 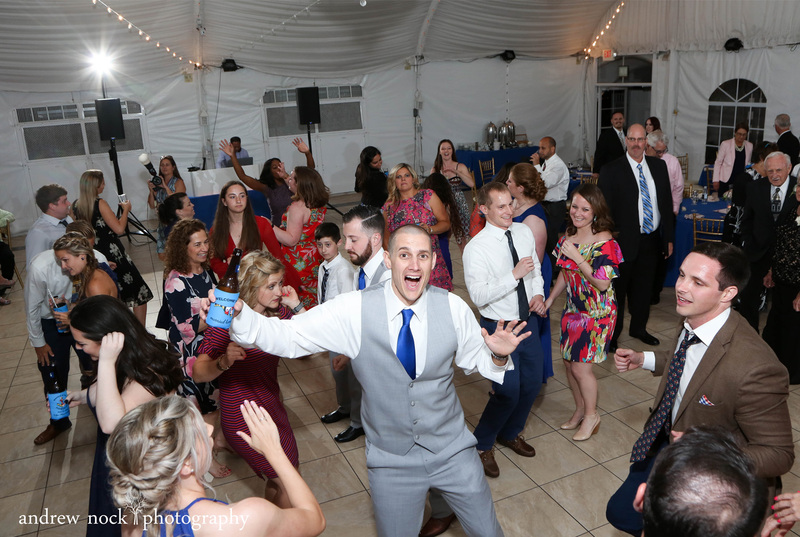 Well, it worked! 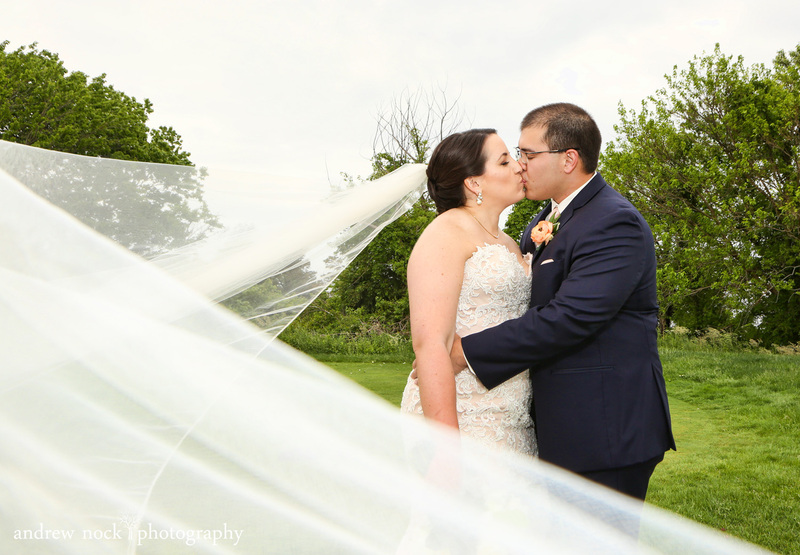 I don’t think you could have asked for a more perfect day. 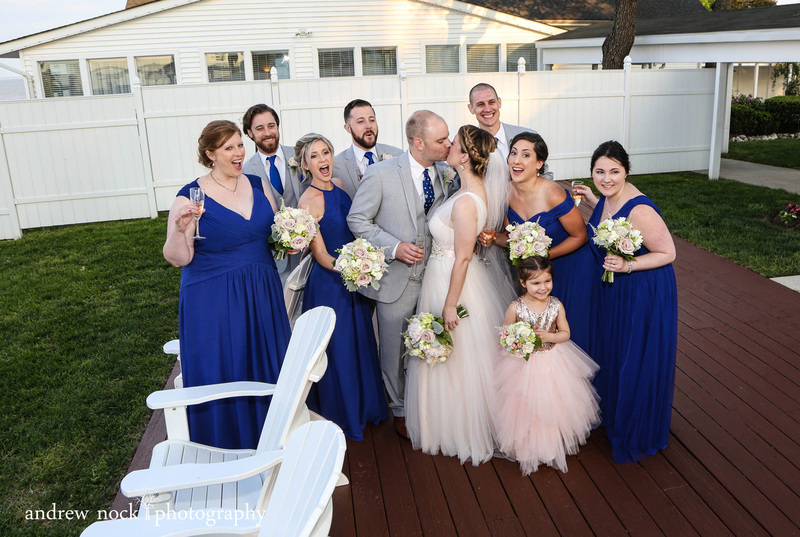 We have a hard time saying this wedding was work when we got to spend the day with so many friends. 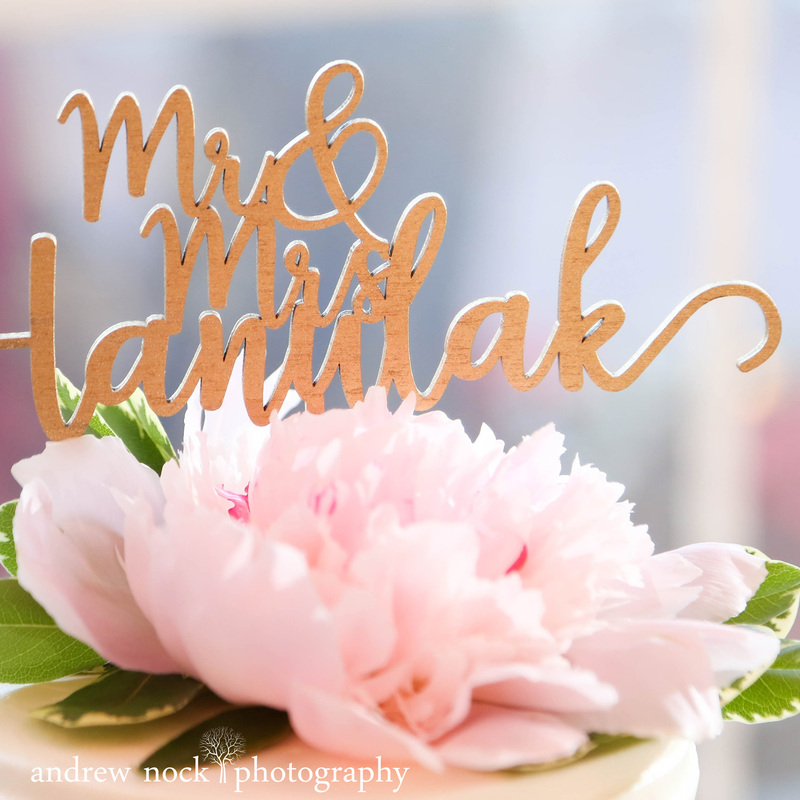 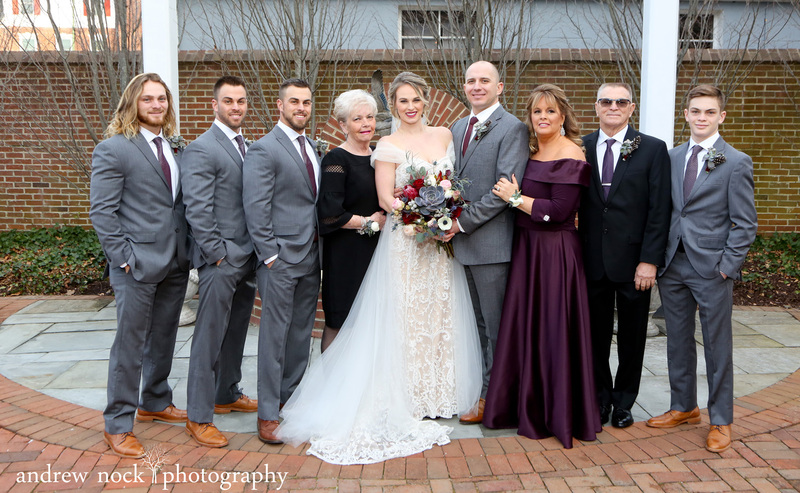 Our relationship with the Hanulak family started when Kim and I became their next door neighbors over 18 years ago. 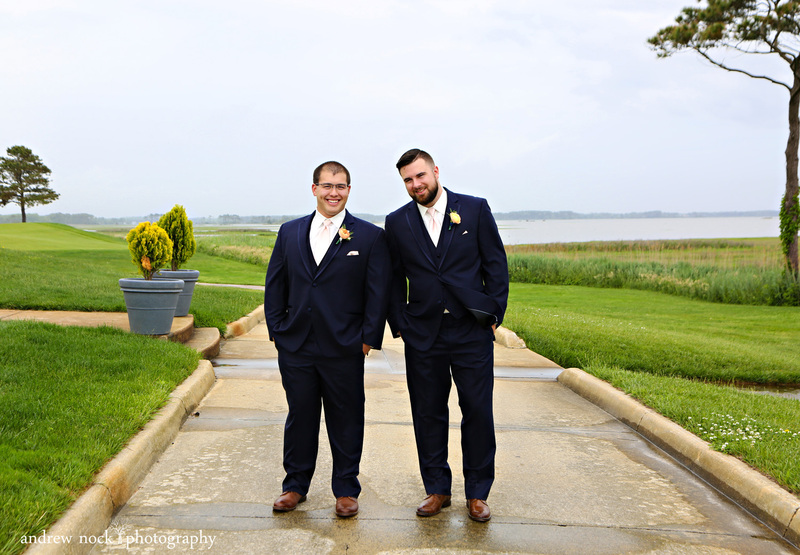 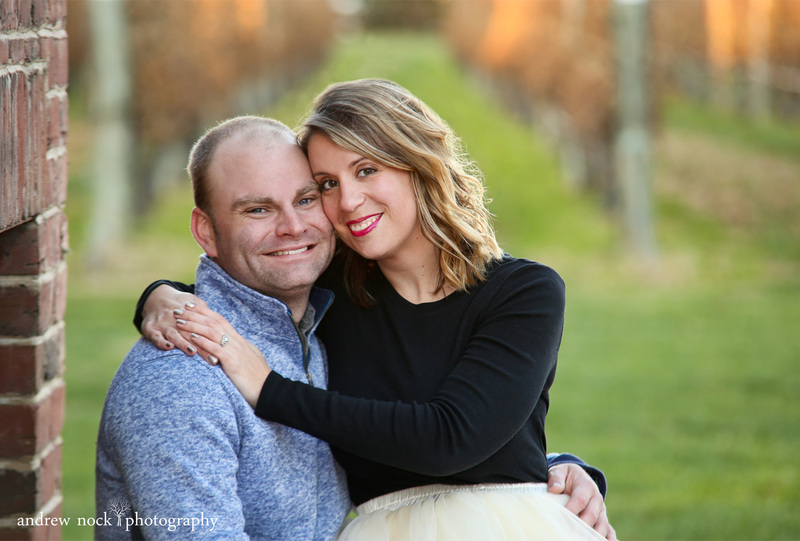 The friendship grew quickly and we are so fortunate to have gotten to see their kids grow up and photograph them as seniors and then Brandon’s sister Katie’s wedding. 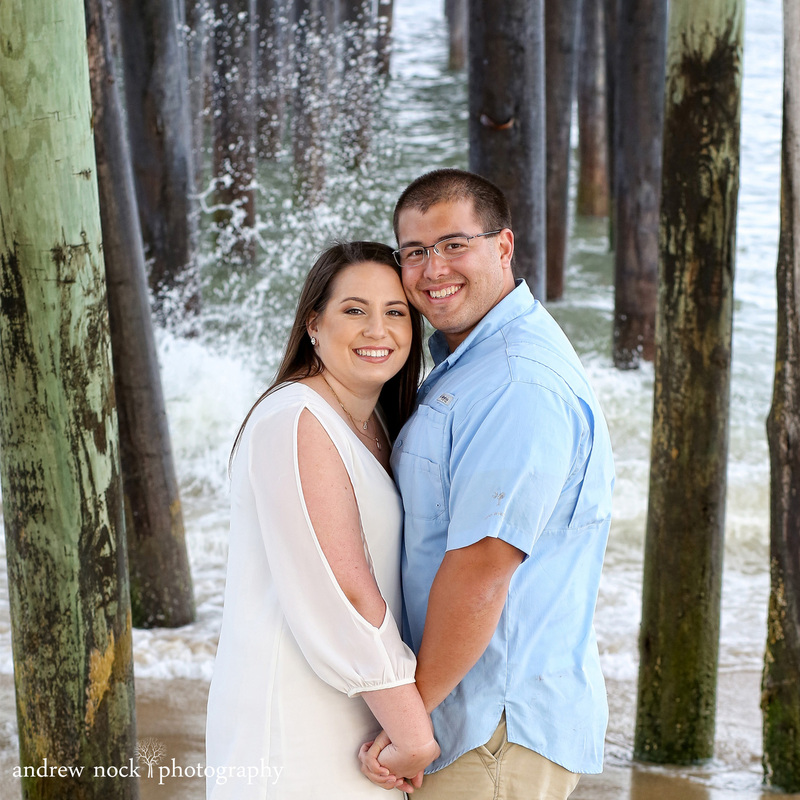 Anna and Brandon are just perfect together. 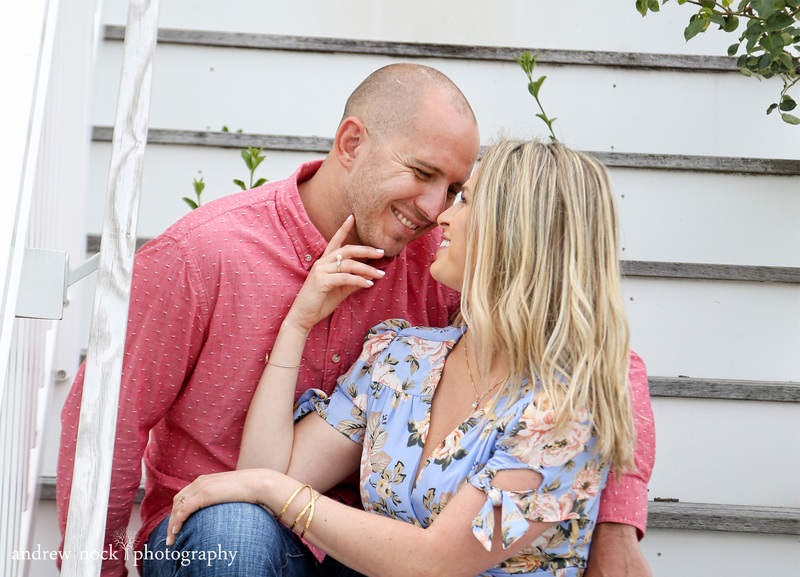 Anna is a free spirit and Brandon makes us all laugh. 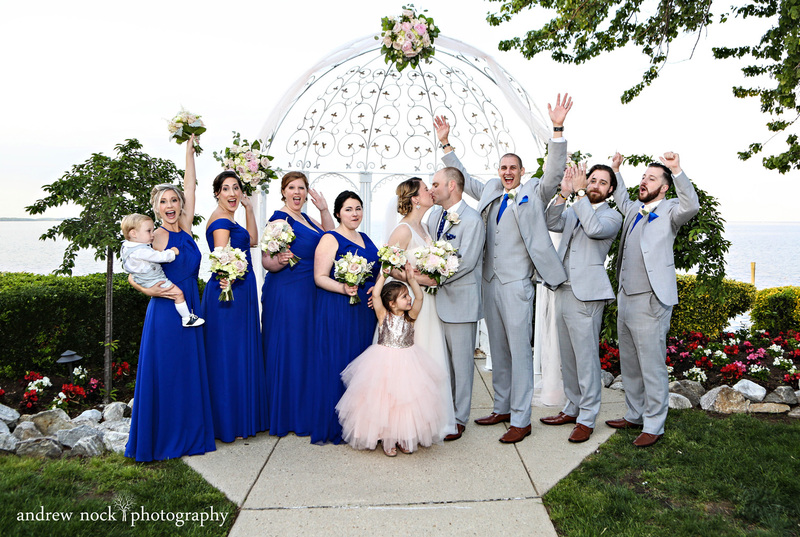 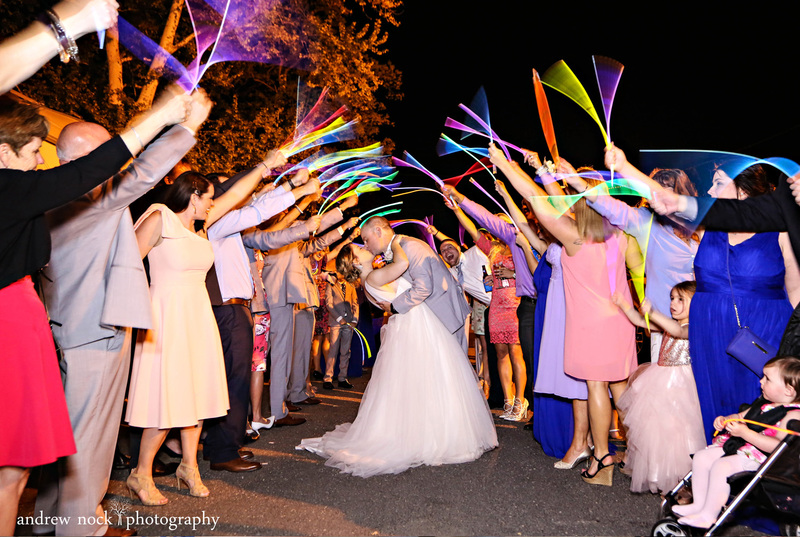 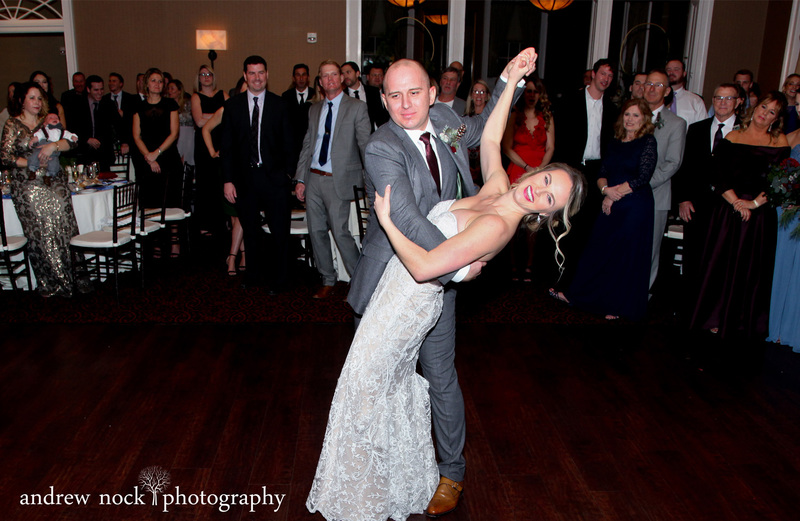 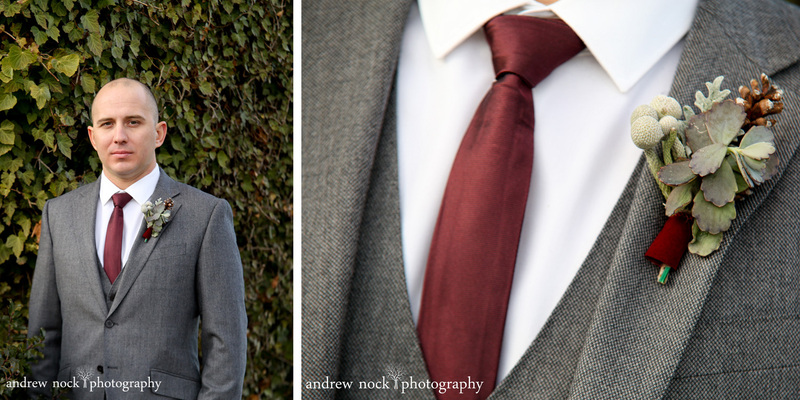 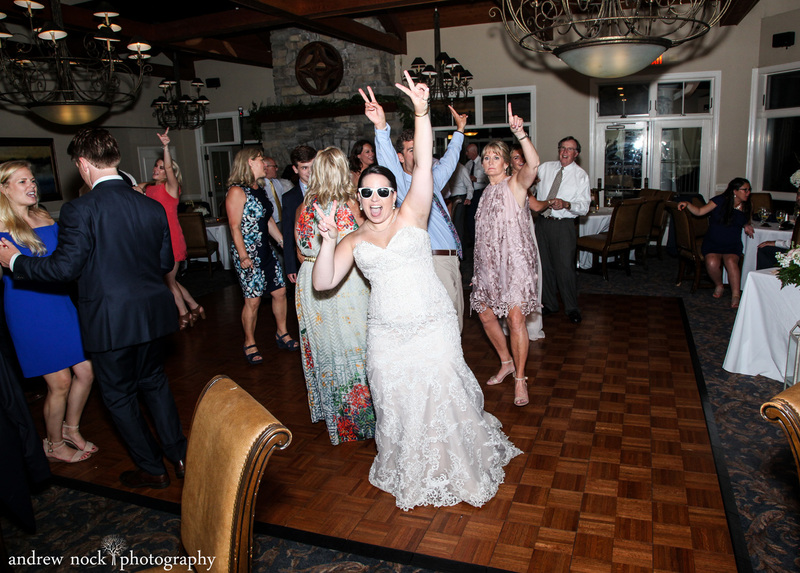 They are relaxed and fun and it was really important to them to have a blast on their wedding day. 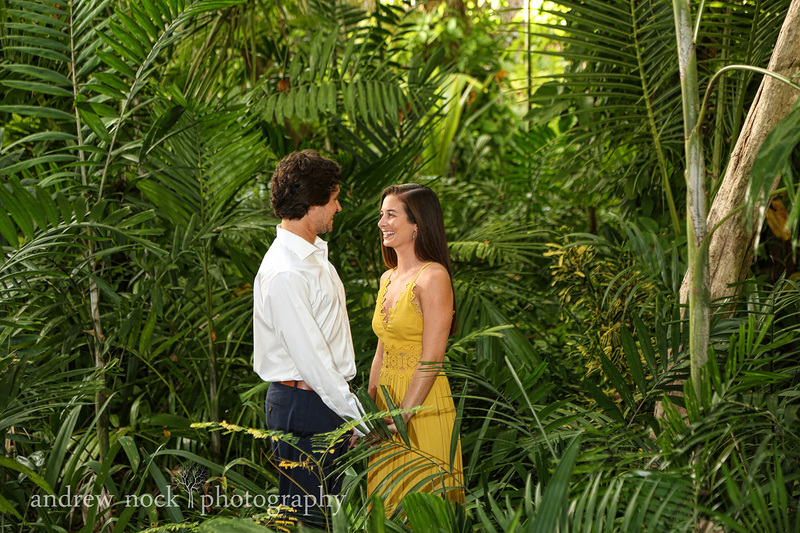 You could just tell by the way they looked at each other how over the moon in love they were. 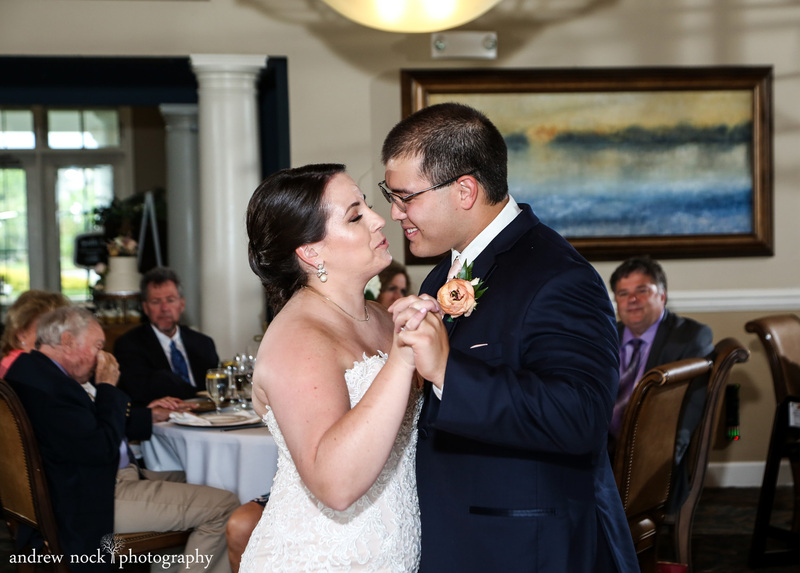 From the moment we saw Morgan & Brandon together, their chemistry was undeniable. 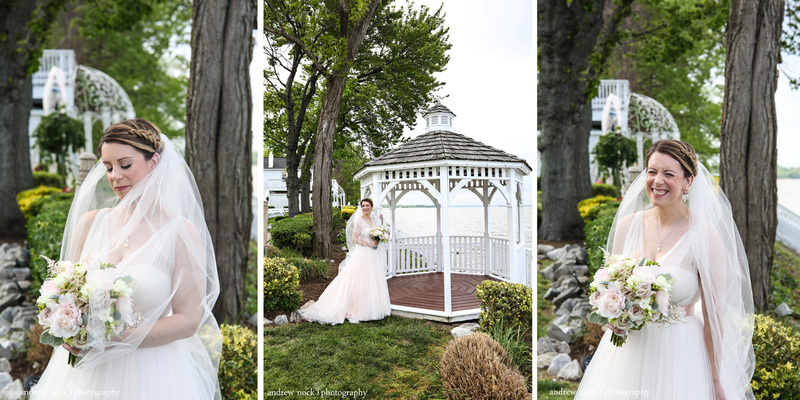 This wedding was extra special to us, having known Morgan and her family for such a long time and photographing her senior portraits. 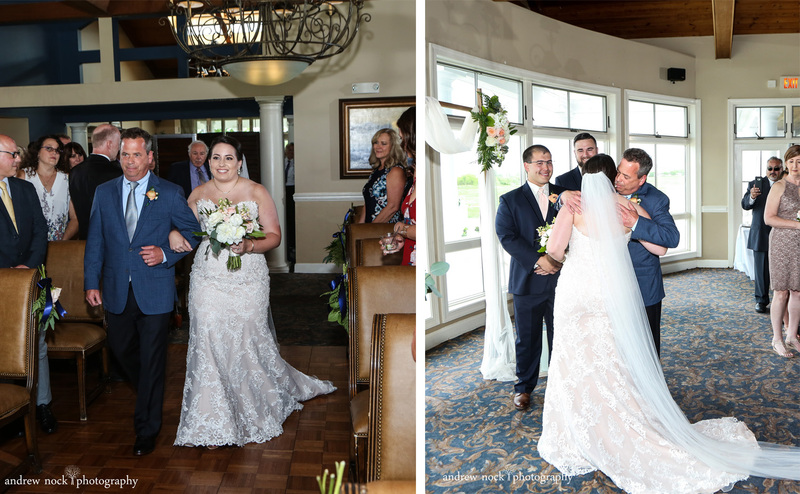 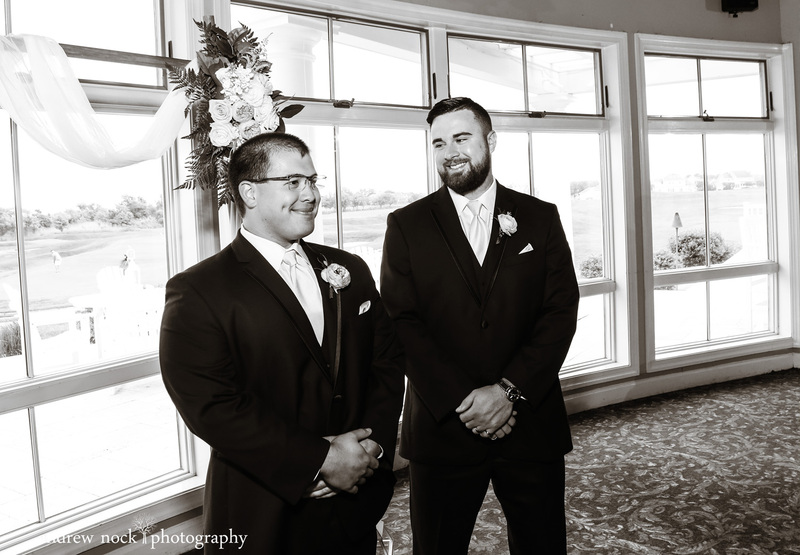 One of our favorite moments was Morgan’s first look with her dad and brothers. 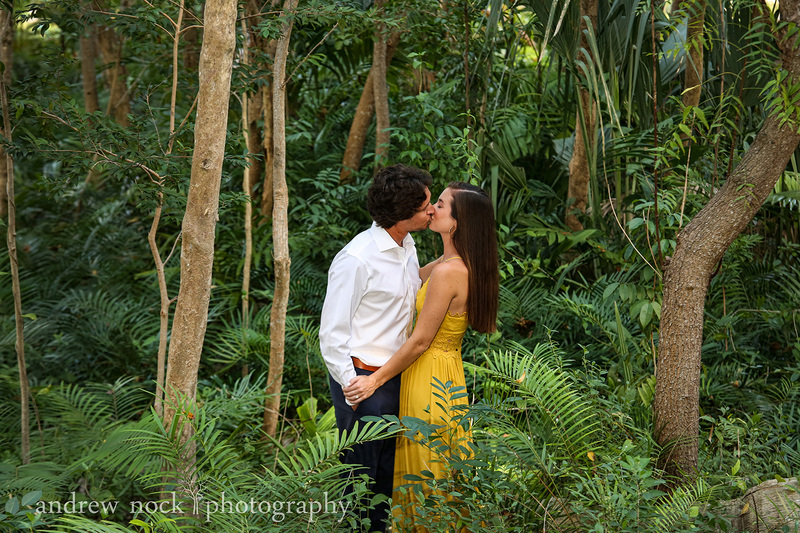 After spending their whole lives protecting her, it was time to hand her over to Brandon. 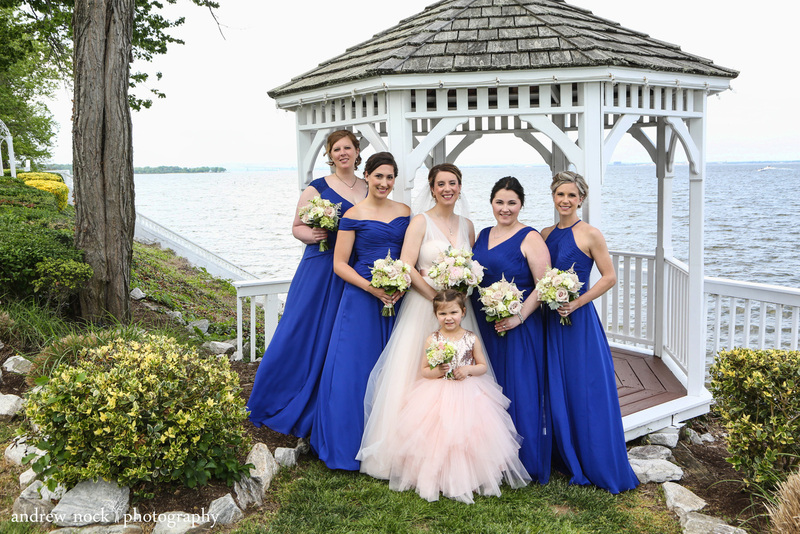 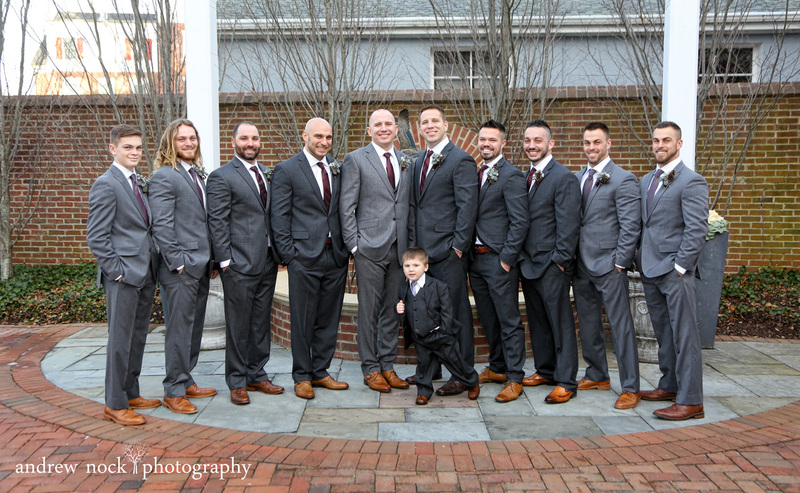 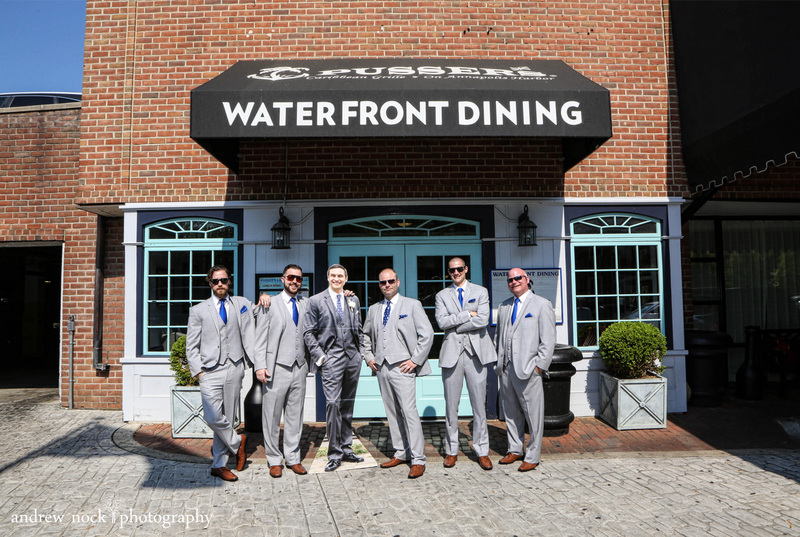 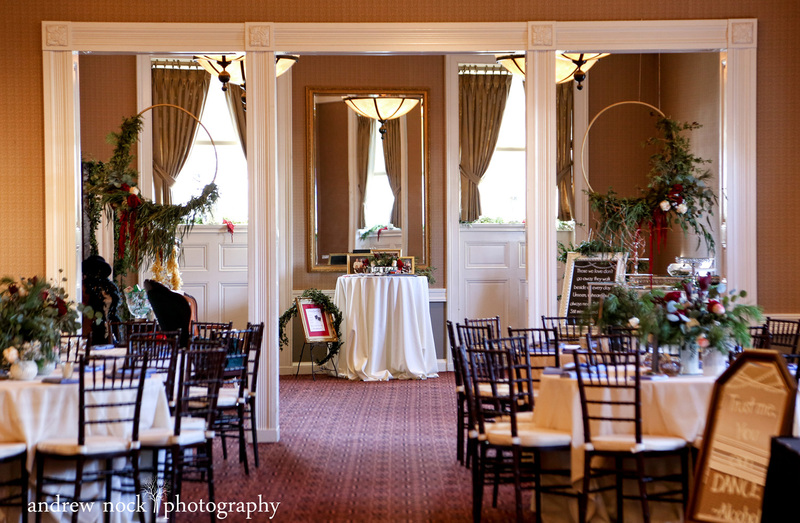 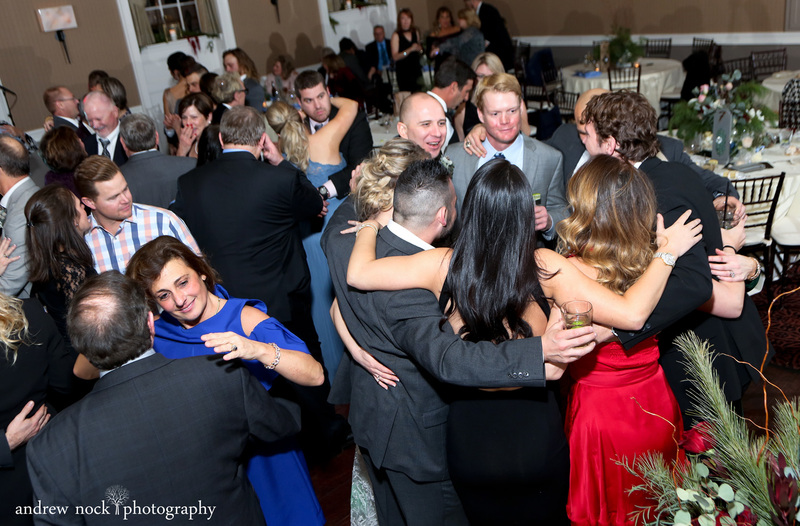 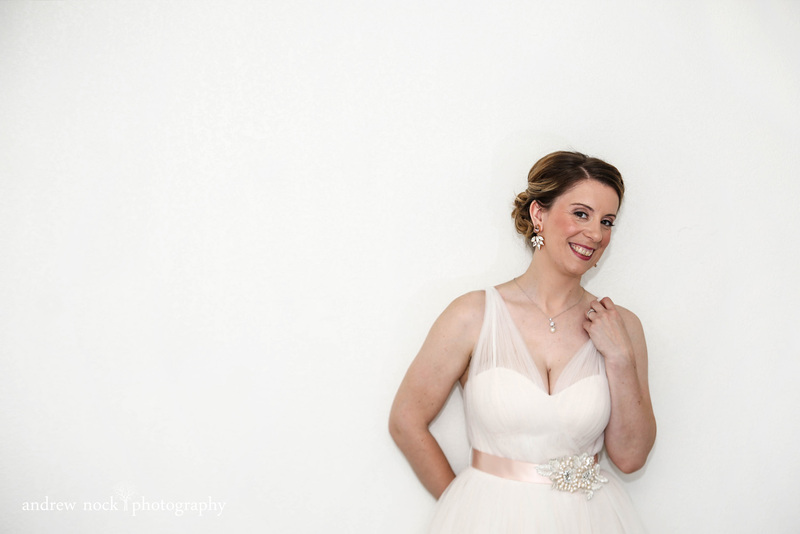 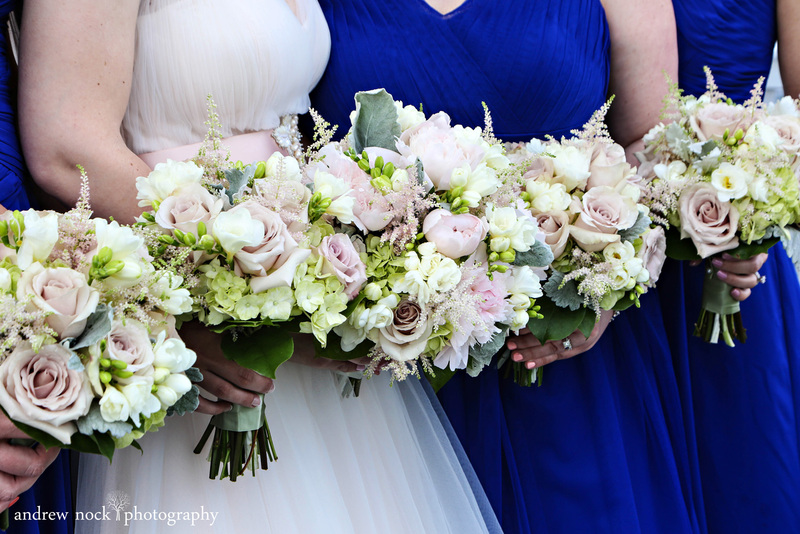 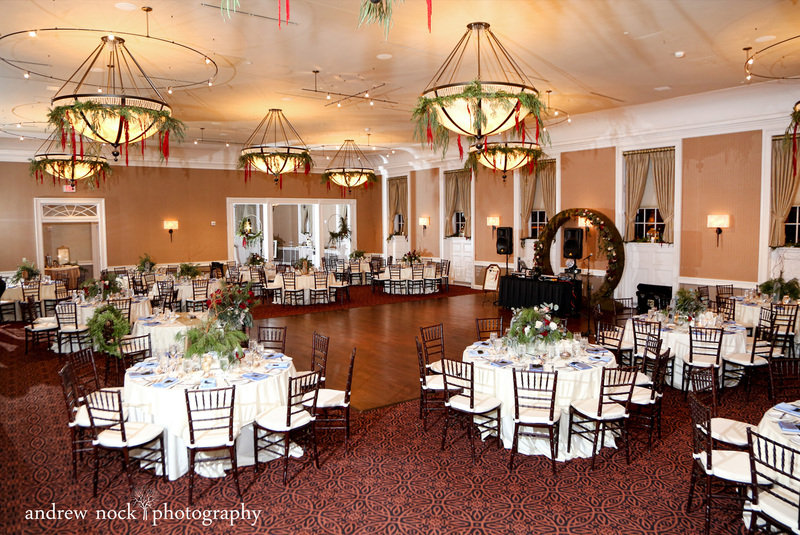 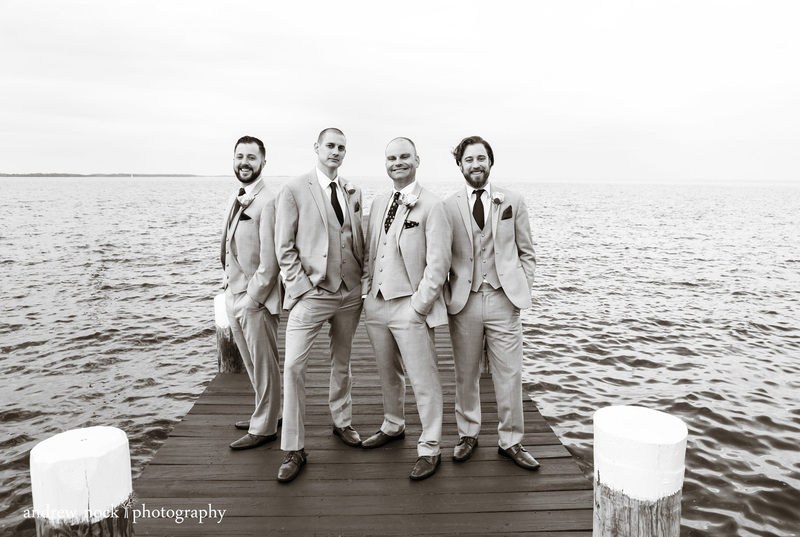 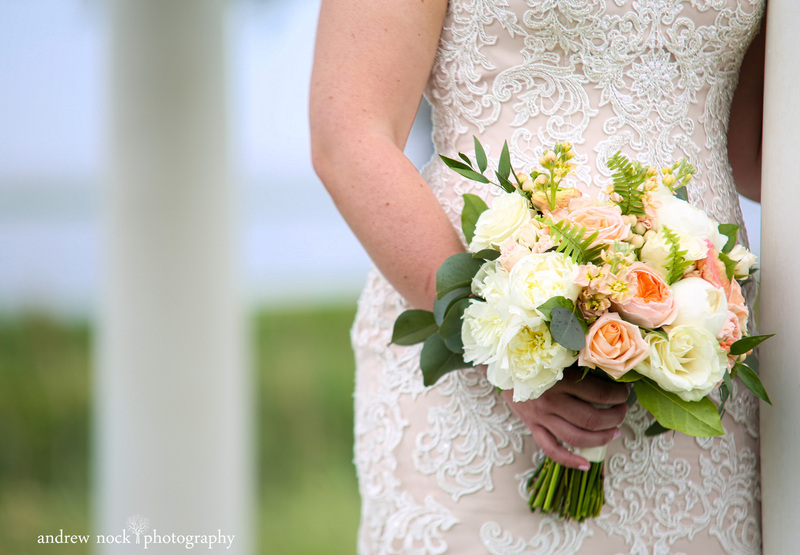 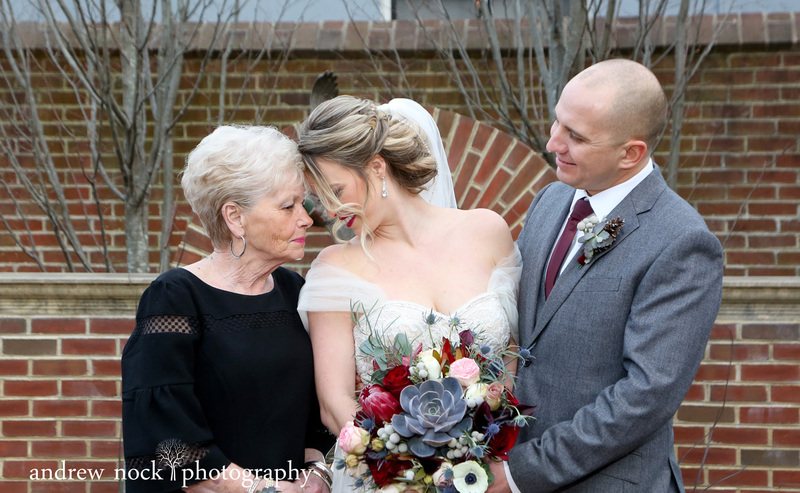 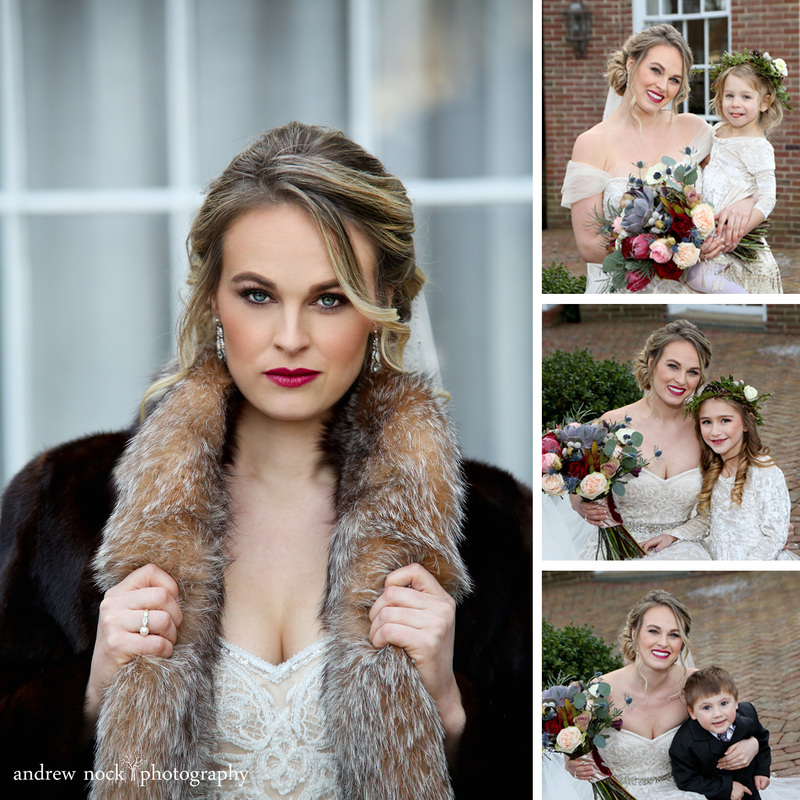 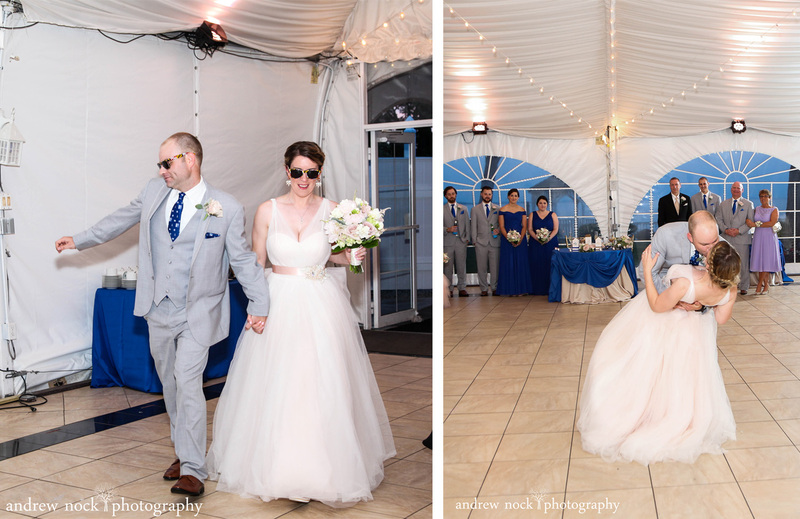 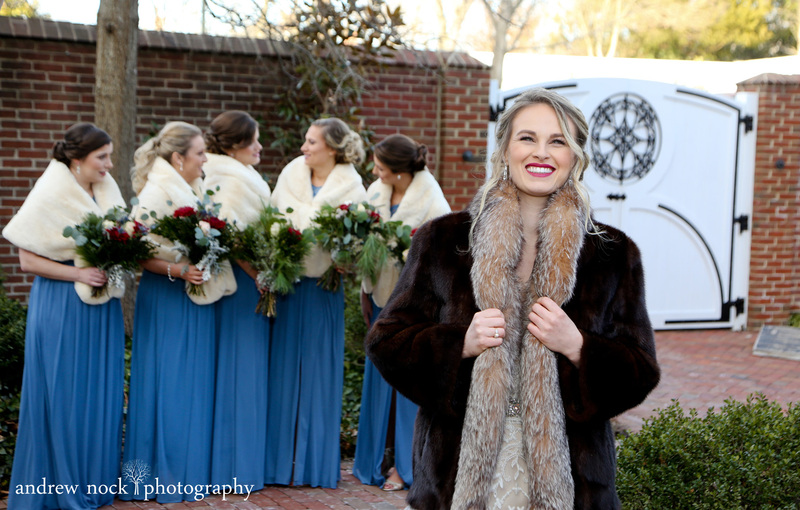 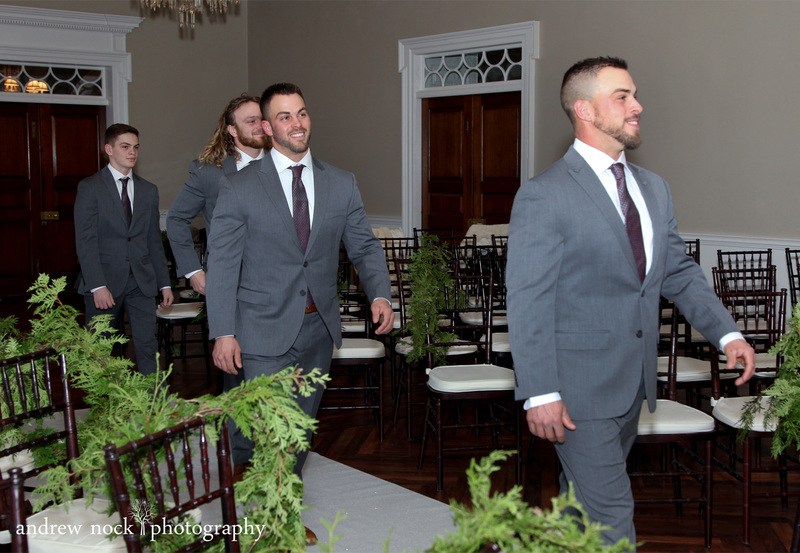 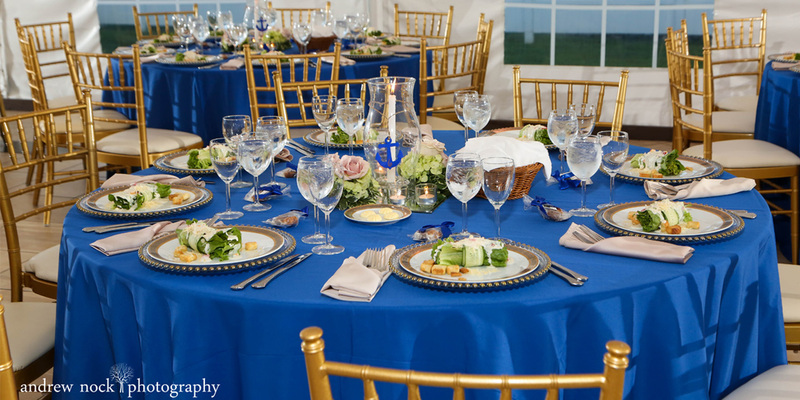 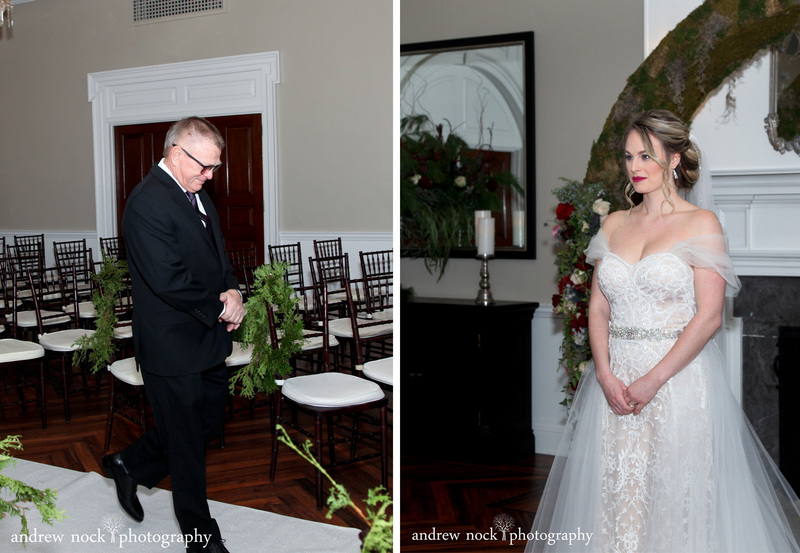 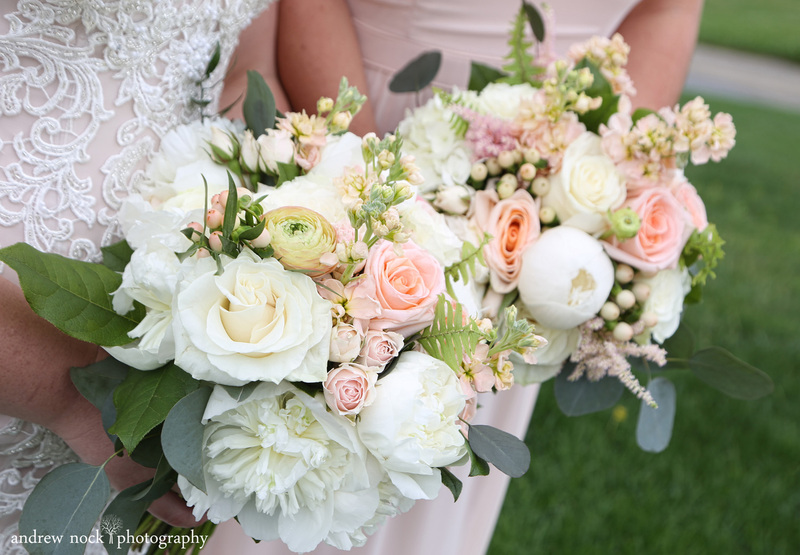 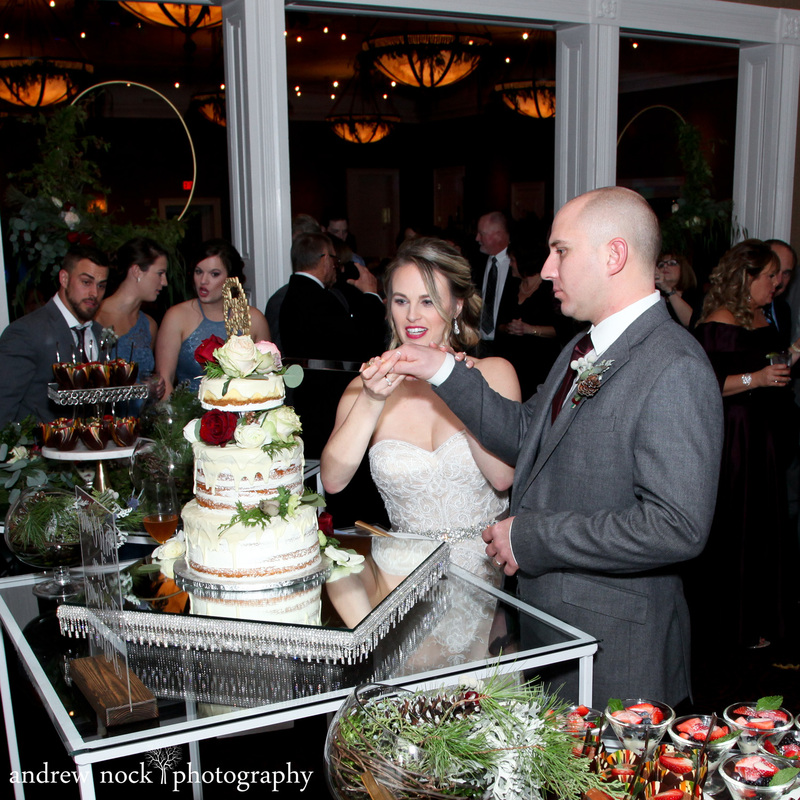 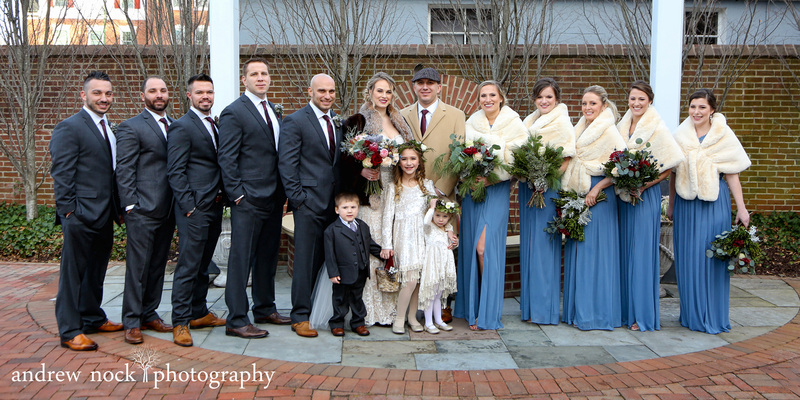 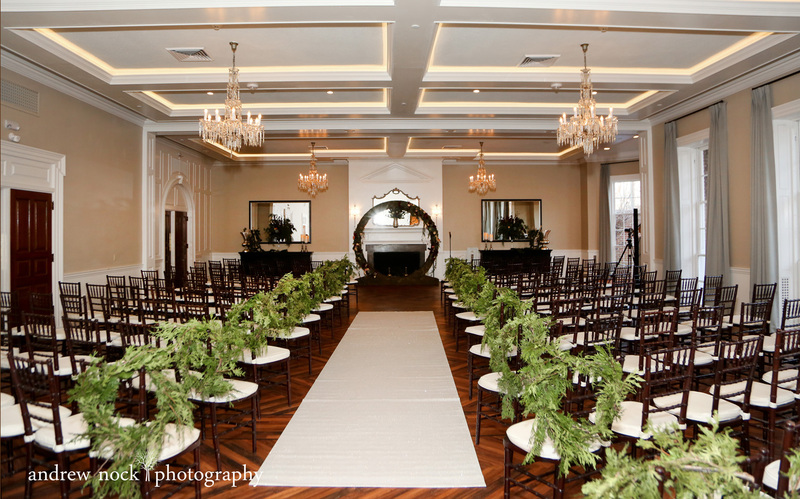 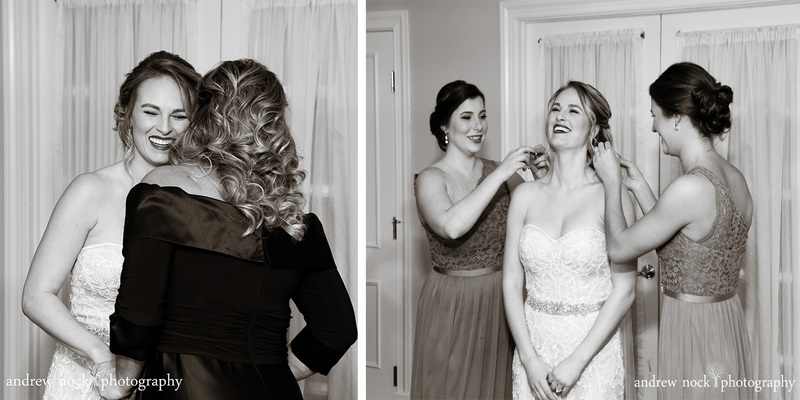 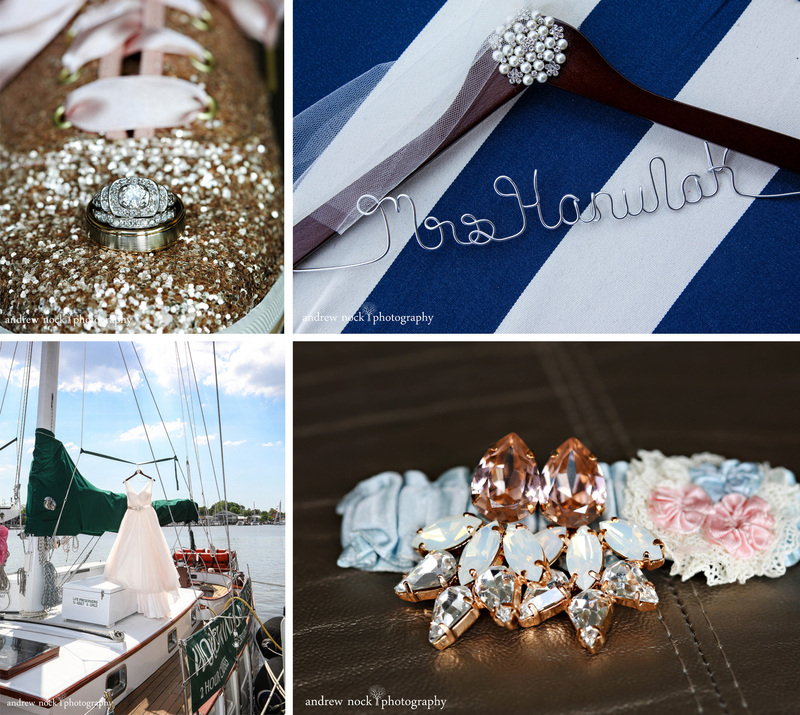 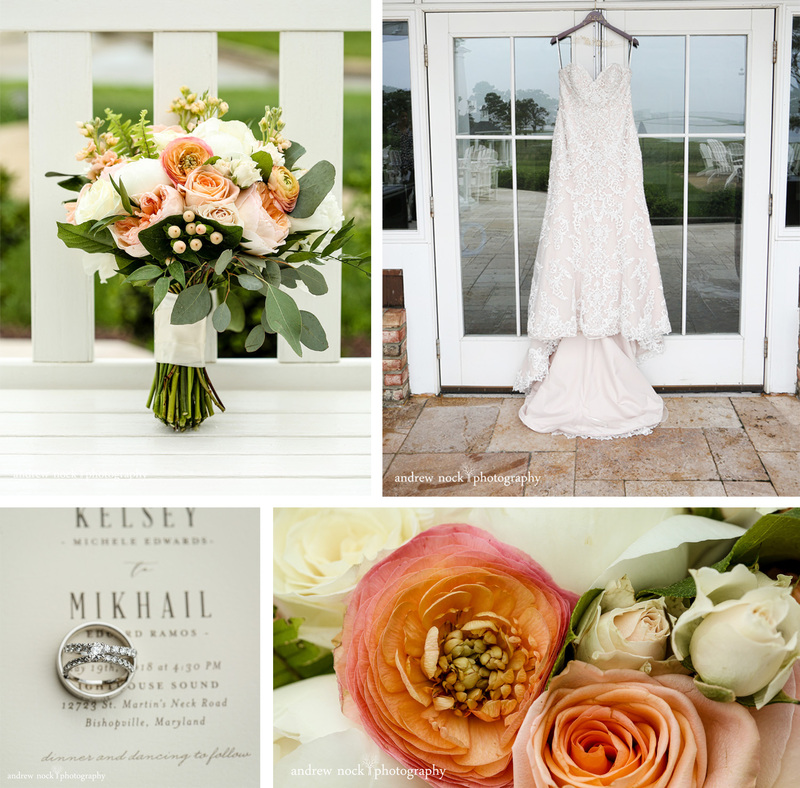 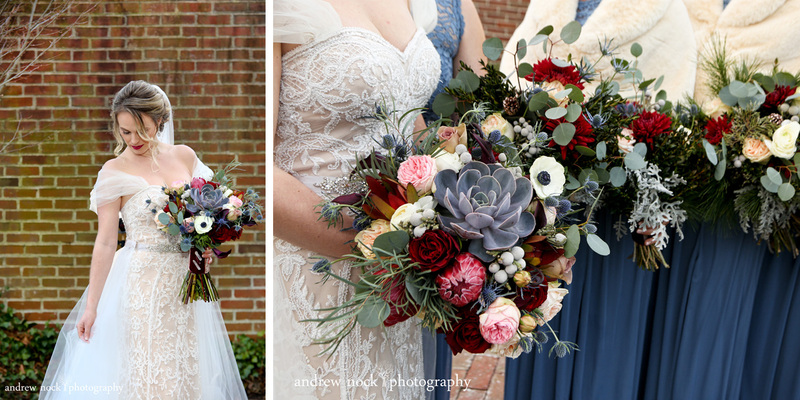 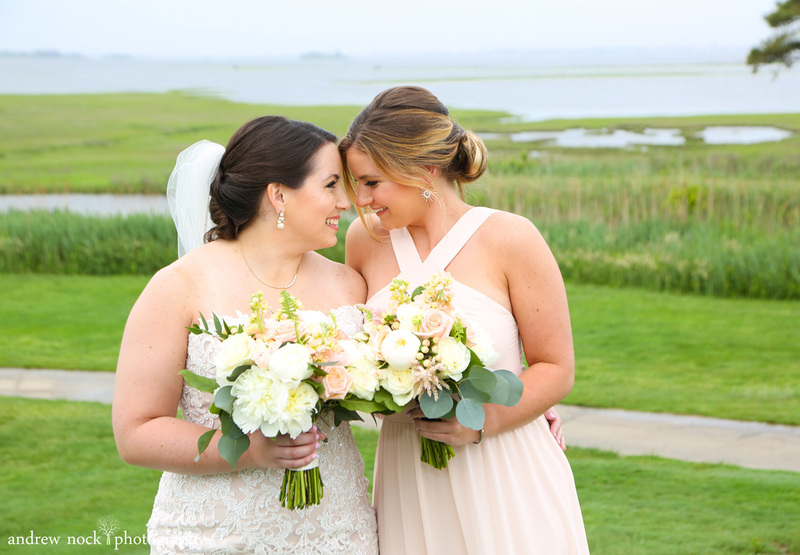 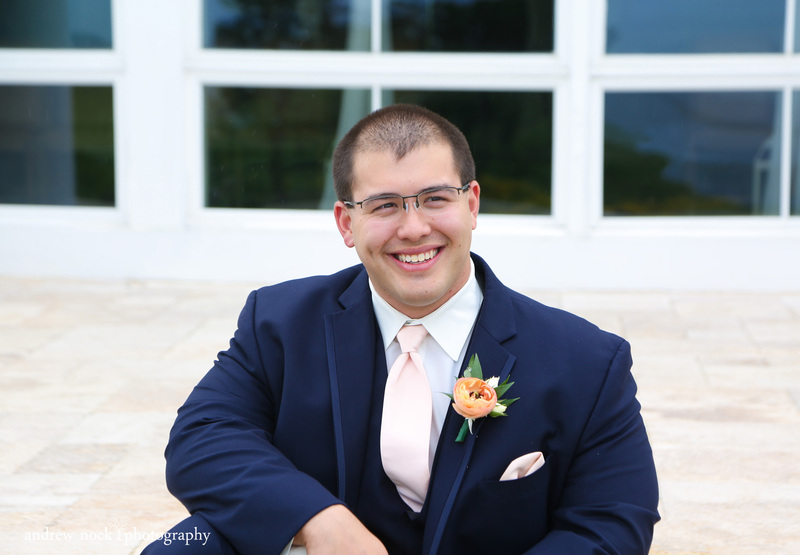 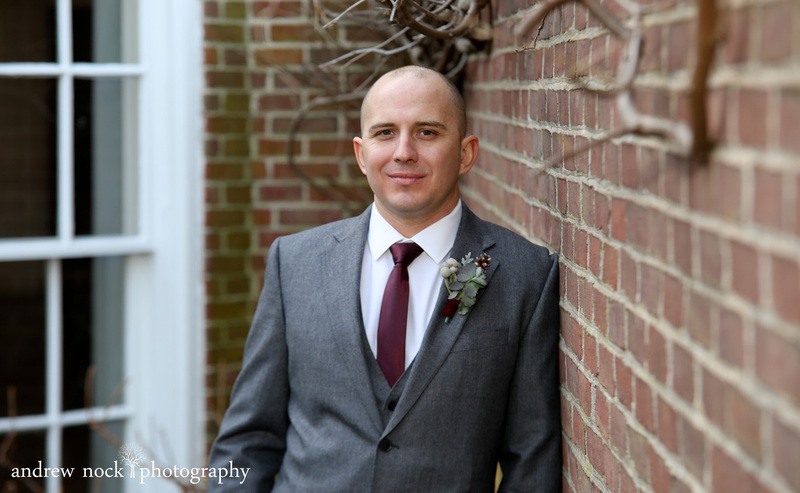 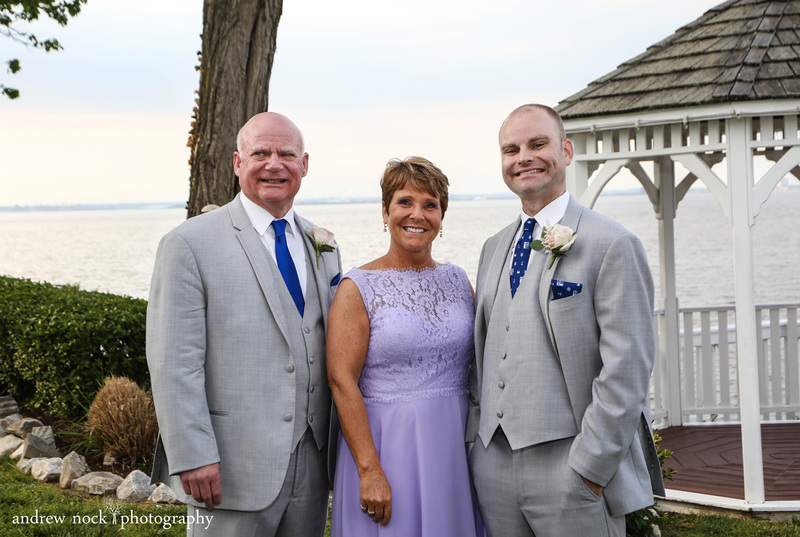 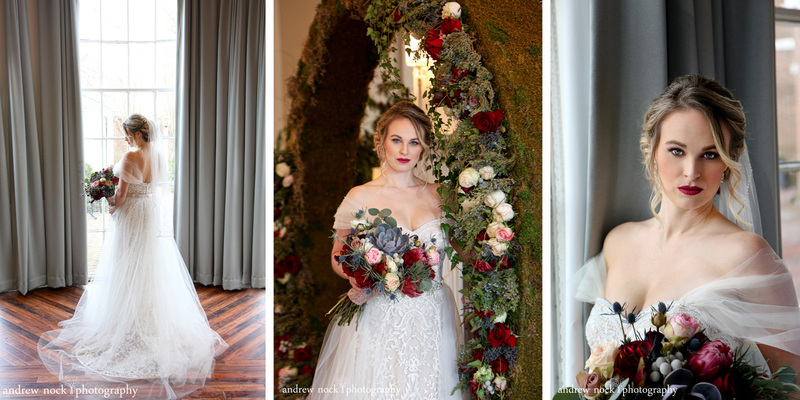 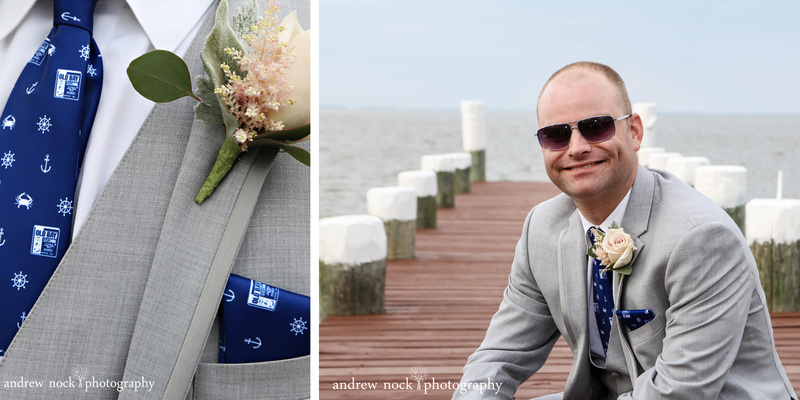 The Tidewater Inn in Easton Maryland did not disappoint for this breathtaking winter wedding. 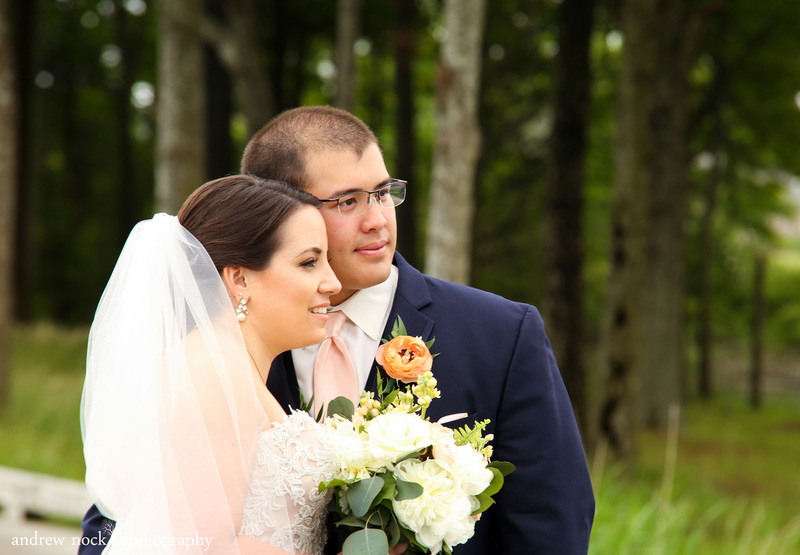 We were in love with the seasonal colors, beautiful decor, and the custom flower circle that backed their ceremony was truly one of a kind. 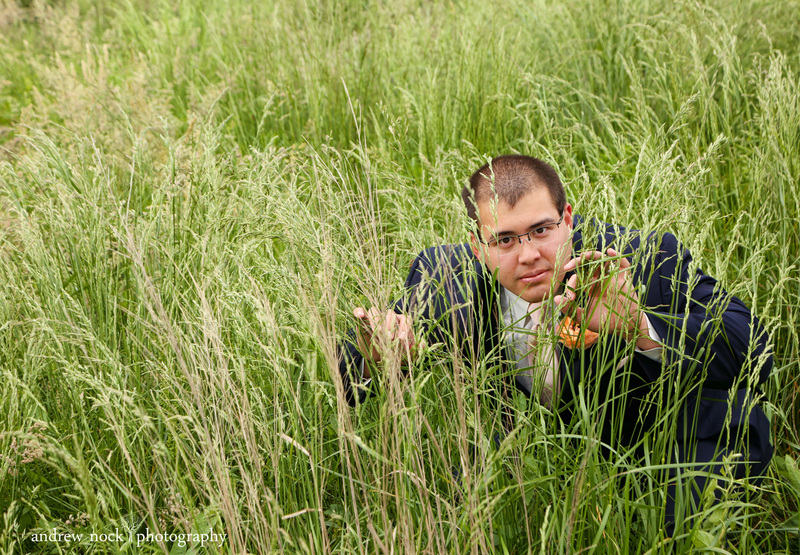 This will probably be one of the hardest blogs we will ever write. 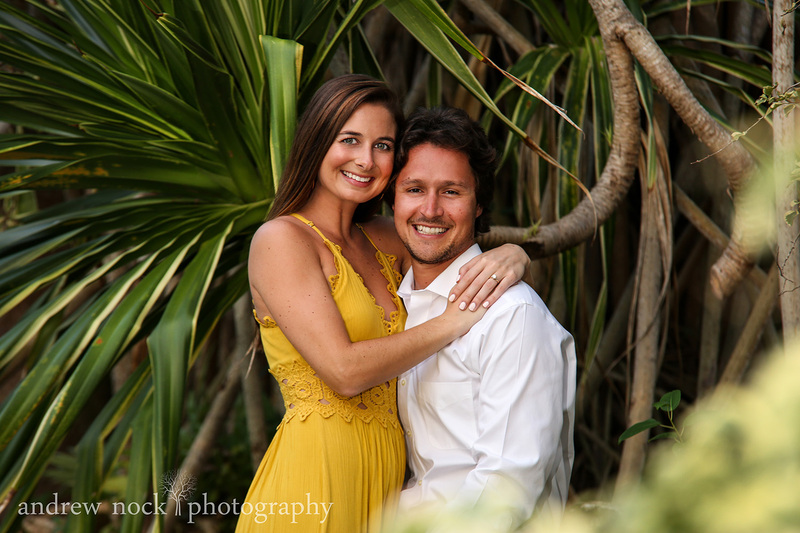 On Christmas morning Nick proposed to our daughter Danielle. 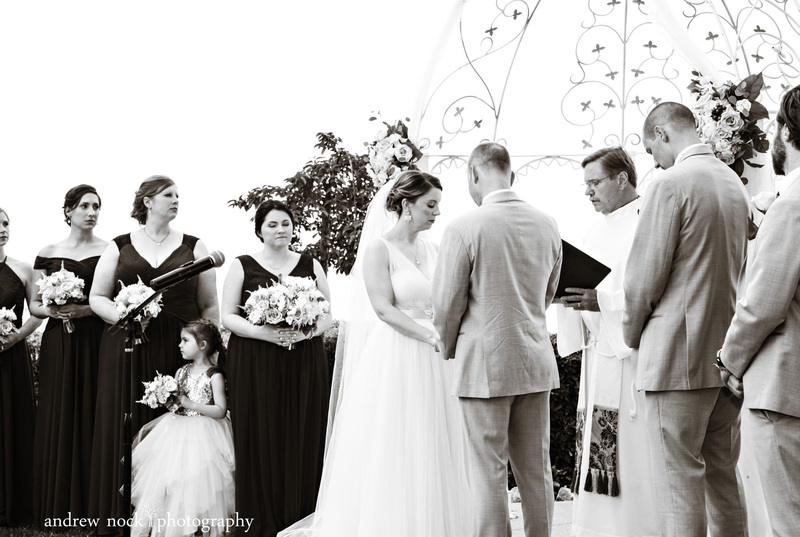 After asking for our blessing, it was several weeks of torture trying to keep it a secret. 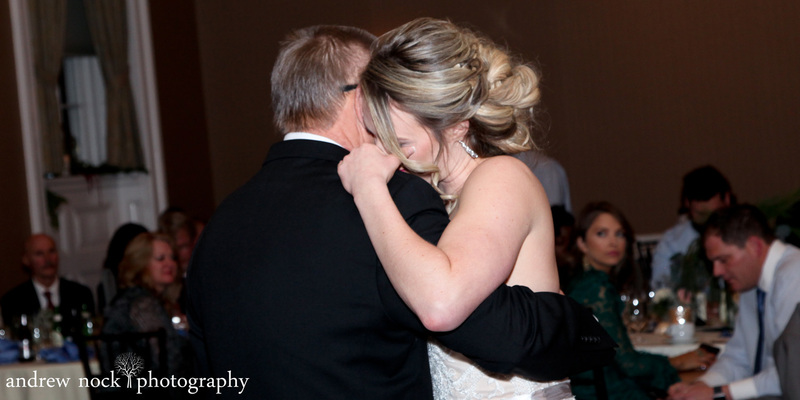 Because of what we do, this one is a little more emotional. 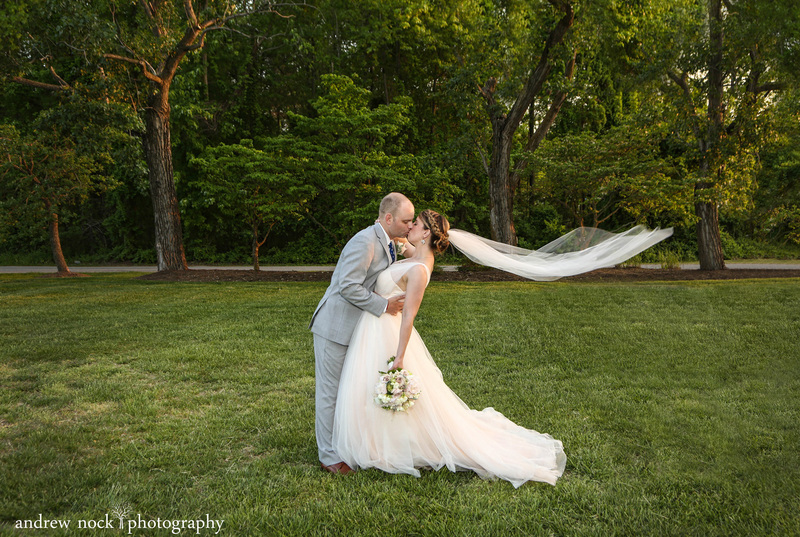 We have dreamed of the day when our girl would find her forever love and we could not be more thrilled. 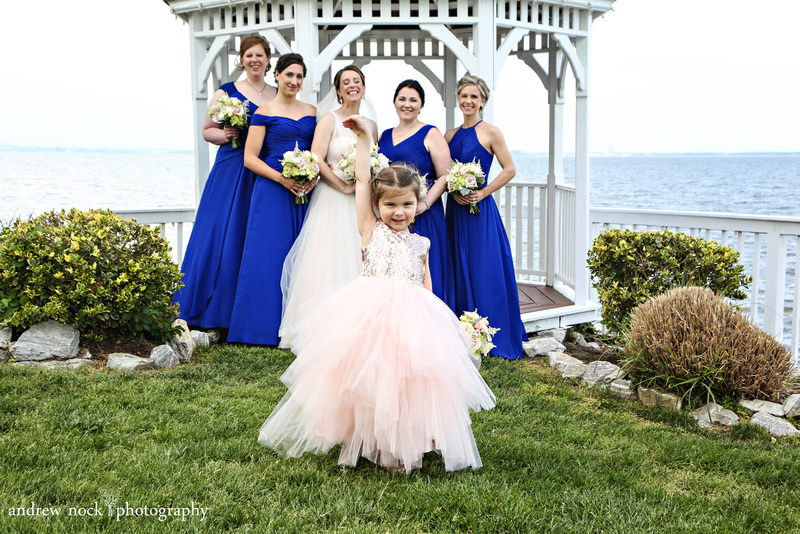 Our daughters are so used to being photographed that often it is a blessing and a curse. 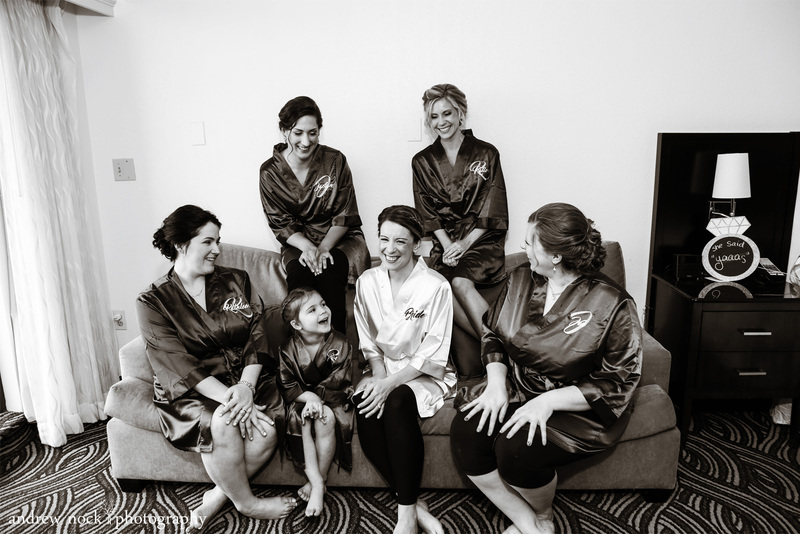 They tend to be very opinionated and we always worry that they will be hard to please. 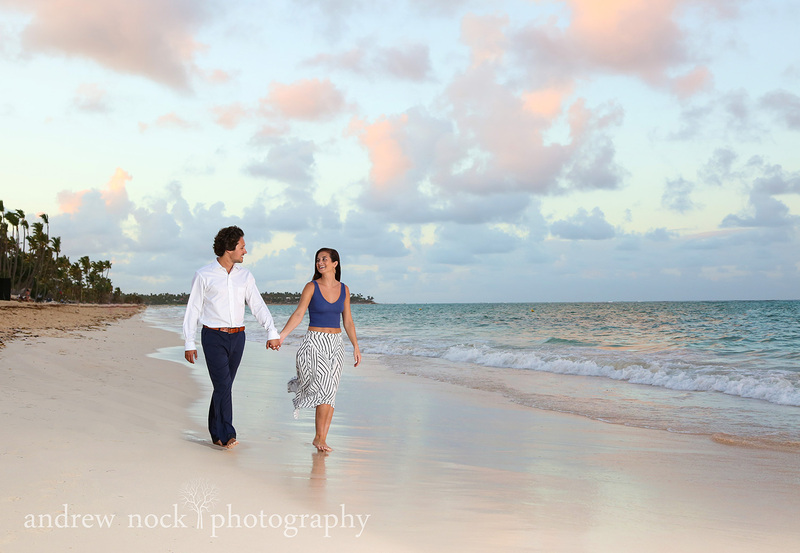 Lucky for us we had a family vacation planned to one of our favorite places on earth, the Dominican Republic. 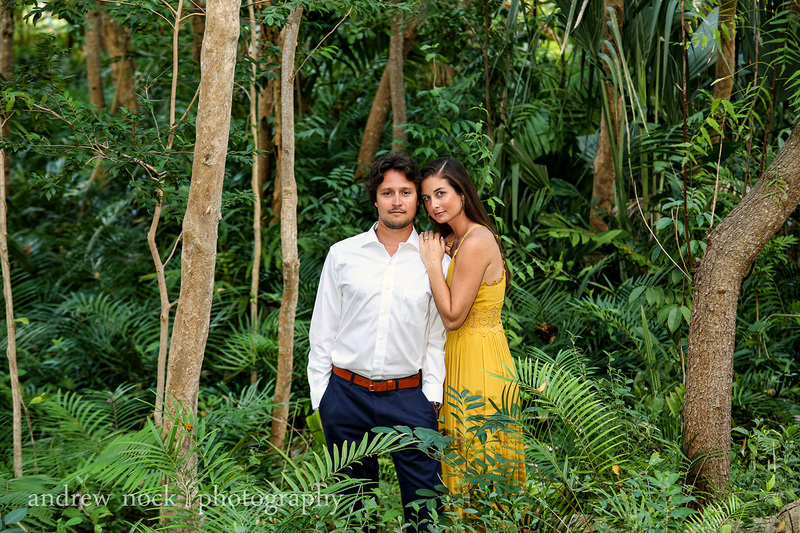 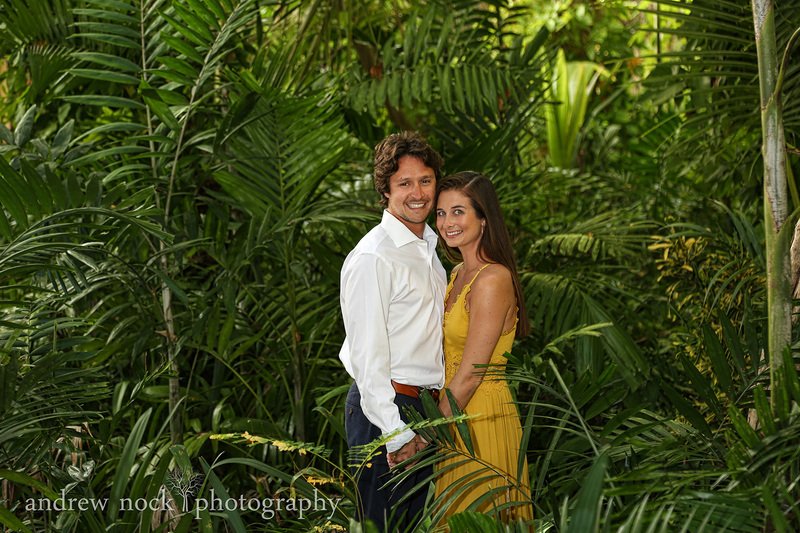 Our goal was to just get a few nice images they would like for their engagement portfolio. 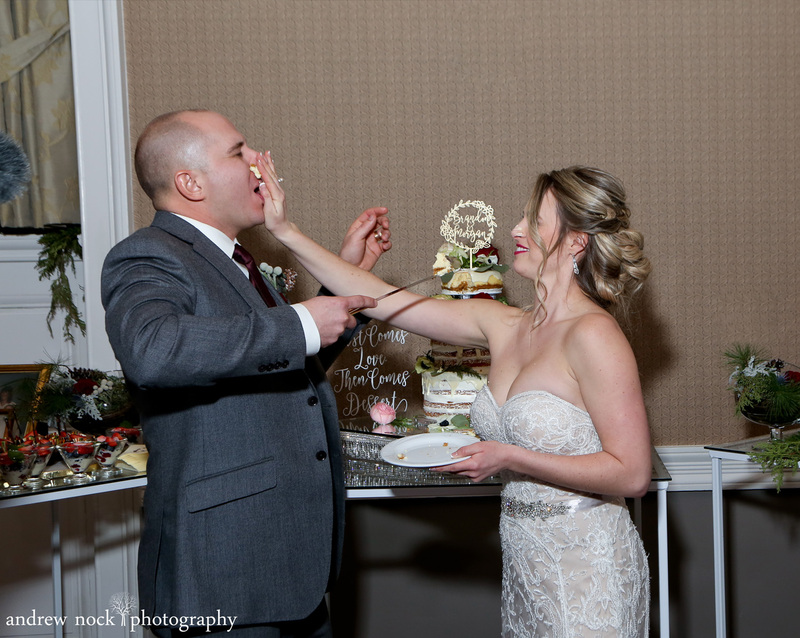 I say portfolio because special occasions deserve multiple sittings. 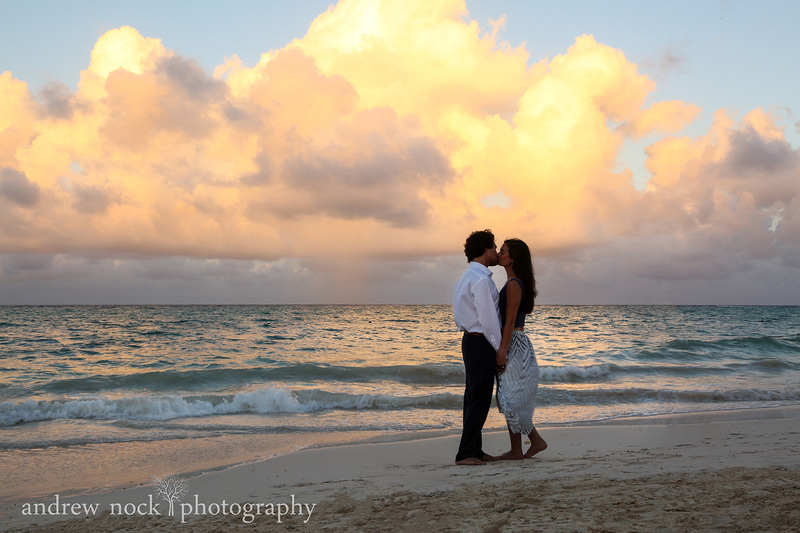 I have to say it was a special night and the Grand Palladium, Punta Cana did not disappoint. 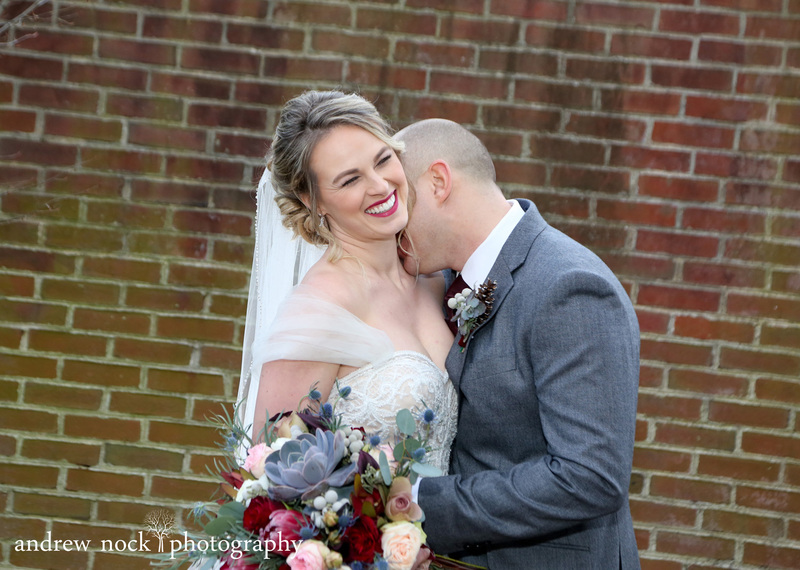 I know we are partial, but I don’t think they could be any more perfect together.